In 1913, Willard F. Ash, 40, was confined in the Warren County jail with the likelihood of a charge of murder being preferred against him as the result of an alleged assault upon Mrs. Christina Peters, 71, at Chandlers Valley Sunday afternoon. It was alleged that in the absence of her husband, Gust Peters, who had gone to the pasture to care for his cattle, Ash attacked the old woman who was still in bed. Mrs. Peters died during the assault. Three witnesses claimed that they saw Ash leaving the house, rearranging his clothing as he fled. His tobacco pouch was found on the floor behind Mrs. Peters’ bed. Ash fled to the home of Mrs. Hannah Nobles nearby and when he saw the officers of the law approaching, he jumped from a second-story window and attempted to escape. He was overtaken after a hard fight. The Jamestown Choral Society held a rehearsal Sunday afternoon in preparation for the concert for the benefit of the Ohio and Indiana flood sufferers to be held in the state armory the following Monday, April 7. They took up the work with fine spirit and enthusiasm, the idea being to make the event the biggest of the kind, as far as attendance was concerned, in the history of Jamestown. It was decided to make the price 50 cents for general admission. Those wishing to reserve seats could do so for 50 cents extra at Swanson’s drug store. Word had been received that the famous First Baptist quartet of Franklin, Pa., would return to Jamestown to assist on this occasion and a local orchestra would also take part. In 1938, Jamestowners were apparently unable to pick up the broadcast by the Jamestown High School a cappella choir from St. Louis, as shortly after the scheduled hour (12:30 p.m. Jamestown time) telephone calls began to pour into The Journal office requesting verification of facts on the broadcast. As far as could be learned, the broadcast was made according to schedule but only over the midwest stations of the National Broadcasting Company’s network, whose outlets were apparently not within the reach of local sets. The choir was scheduled to enter in competition at 3 p.m.
Stating that he shared the views recently expressed by former President Herbert Hoover that war in Europe did not appear likely in the immediate future, Rev. Henry Cotton, pastor of the United Church, Fort Erie, Ontario, who, during the World War was a captain in the Royal Flying Corps, in an address before the Kiwanis Club at the Masonic Temple in Jamestown, related his experiences in a German prison camp. Claiming he was shot down following a dogfight with German aces at an altitude of 15,000 feet, in the presence of a German prince, Captain Cotton told of how he spent two years on restricted rations in various parts of Germany, where he was confined in prison camps until the armistice. “Bombing of innocent noncombatants is the most hideous and hellish feature of modern warfare,” according to Capt. Cotton. In 1988, a Jamestown business planned to renovate and restore the former Erie-Lackawanna Railway Co. station on West Second Street so it could move its entire operation there by the following spring, the firm’s manager said. King Door & Windows Sales, which also planned to expand its product line by moving from its location at 529 W. Third St., agreed to buy the depot from John Evan earlier in the month, said Donald Cornell, store manager. “We’ve outgrown the building we’re in” and need more warehouse and display space, Cornell said. The firm, he said, had been looking for a year to find another site for more warehouse space but instead decided to relocate after learning the depot was available. Rep. Amory Houghton R-Corning, and Rep. William Clinger, Jr., R-Warren, both voted to approve $48 million in humanitarian aid for the Nicaraguan contras. “The contras felt they could no longer depend on the U.S. for financial support, and this aid package will show them they can,” Houghton’s spokesman Brian Fitzpatrick told The Post-Journal. “We’ve been banking on the peace process all along. This package will support that process.” One of the main areas of contention in negotiations for the humanitarian aid package was whether President Reagan should be guaranteed the right to a quick decision on new military aid to the contras should the Sandinistas go back on promises of amnesty and the restoration of civil liberties. In 1913, Miss Julia Isaacson who was employed at the home of Fred H. Wilson, 333 Allen St., Jamestown, as a domestic, left the house at 8:30 Thursday evening and had not since been heard from. Diligent inquiry at every place the girl would be likely to call had not revealed any clue to her whereabouts. Wilson was considerably worried over her mysterious disappearance. “Thursday evening was her usual evening out,” said Wilson. “She left the house and that is the last I have heard of her. I have not been able to obtain any knowledge of her whereabouts. It is as though she had disappeared from the face of the earth.” An ominous circumstance was the fact that the girl left some good clothing at the house. If she had not intended to return, it was likely she would have taken her best clothing with her. The lawsuit arising over the collision of pleasure launches owned by Douglas C. Allen and Fred J. Johnson, in the Chadakoin River the past fall was finished in Justice of the Peace L.L. Hanchett’s court. Miss Anna Anderson of Camp Street, Jamestown, sought to recover $120 damages from Allen claiming that in the collision between the launches she was thrown in the water and lost a watch and mesh bag and had her clothing spoiled. After about an hour’s deliberation the jury brought in a verdict of no cause of action. In 1938, the famous St. Patrick’s Day snowstorm of two years ago brought a constant companion to Malcolm Schwein, U.S. mail carrier on the north side of Jamestown. Every morning and noon as the carrier arrived by trolley – and more recently by bus – at the corner of Spruce Street and Lakeview Avenue, Major, the collie-police dog mix owned by Ralph W. Johnson, 74 Newton Ave., was on hand to greet him and accompany him on his route. Schwein’s following was increased about a year ago when Ace, the German shepherd dog owned by Mrs. E.F. Boerst, 12 Chestnut St., assumed the duty of meeting and accompanying the postal carrier. The dogs followed him on his entire route and waited with him at the bus as he called a halt to his chores. Jamestown would probably have a fully equipped, modern airport, 100 percent completed early in July, according to a statement this afternoon by Col. Clarence B. Coombs, senior airport engineer of the United States Bureau of Air Commerce, who arrived at the North Main Street airport shortly before noon for inspection of the project. Replying to a question from a Journal reporter, Col. Coombs said that WPA authorities were looking “very favorably” on the city’s request for a reallocation of federal WPA funds needed to complete the job. It had been estimated that $40,000 more was needed to furnish material, supplies and skilled labor for the project. In 1988, Nicaraguan President Daniel Ortega pinned the Agusto Cesar Sandino Medal of Honor on pacifist Brian Willson in Managua. The Sandinista leader hailed Willson as a “hero of peace.” Willson, a native of Ashville, lost both legs the past year in California when a train ran over them during a protest demonstration against continued U.S. aid to the Contras. ?The new 25-cent value stamps whose use was authorized as the first class letter rate beginning April 3 were selling well at Jamestown Post Office under their series E designation, according to Postmaster Ronald E. Atkinson. “They’re the big seller at this time,” he said, “but you can save a few pennies on your mailings before April third.” In Buffalo, General Manager/Postmaster William J. Miller had urged customers not to wait until the last minute before making their new stamp purchases. In 1913, the carload of provisions and other supplies for the flood afflicted districts of Ohio and Indiana provided by the citizens of Jamestown through the relief committee appointed by the mayor started on its journey the previous night at 8 p.m. The car was delivered at the Wilcox-Burchard switch Friday evening at 6 p.m. where the splendid assortment of goods had been made ready by the Wilcox-Burchard Company and the S.M. Flickenger Company. A representative of the Warren-Jamestown traction line informed The Journal that the bridge where the trouble was which prevented the line from operating cars on Thursday and Friday was not the big iron bridge over the Conewango as had been stated but the long wooden trestle west of the Conewango iron bridge. This trestle was under water and fears were felt for its safety. The water had gone down sufficiently so employees of the company were assured of its safety and car service to Frewsburg was resumed on this morning. Following a conference between the Frewsburg Board of Education and the local health officer, Dr. R.M. Weidler, it was deemed advisable to close the Frewsburg High School this week on account of the developing of three scarlet fever cases among the pupils of the school. None of the cases was considered serious. The closing of the school would take the place of the spring vacation, which would have come in a few weeks. Dr. Weidler had also requested that there be no public gatherings for a few days as a precaution against the spread of the disease and no church services were held Sunday evening. In 1963, Jamestown’s former post office and federal building, a landmark for 59 years at West Third and Washington streets, might be destined to come tumbling down over the summer to make way for a parking lot able to handle about 100 cars. Several bids for razing the structure were being considered by the owner, Michael Jawitz of Miami, Fla. Present plans were to remove the building, grade the area and surface it with blacktop for a parking lot. An unwanted “widow,” the three-story building and one-story addition had been vacant since December 1960 when the city’s new post office and federal building was opened at East Third Street and Prendergast Avenue. Two Euclid, Ohio, boys, stung by spring fever, ended their wanderlust journey to “nowhere in particular” in Lakewood the previous afternoon. Officer Michael LaGrega spotted the “travelers,” 14 and 16 years of age, on Route 17J. The youths were eastbound and they could not offer any explanation as to where they were going other than that it was “spring” and they wanted to “travel.” Upon advice of Chautauqua County Children’s Court Judge Robert N. Palmer of Dunkirk, the boys were held as juvenile delinquents at the county jail in Mayville until their respective parents called for them. In 1988, Chautauqua County had signed an option to acquire the Unigard Building at 110 E. Fourth St. in Jamestown as the possible location of a south county office complex, according to County Executive John A. Glenzer. He said the agreement was signed with James V. Paige Jr. of Lakewood, who headed Paige Development Corp., owner of the building. The option would give the county at least 60 days to a agree to buy the rambling structure for $775,000. It proposed to use the building to consolidate county services located throughout the Jamestown area – except for the Mental Health Clinic which would be continued in the Professional Building at Jamestown General Hospital. What could have been a major blaze was confined to a chimney fire by Chautauqua and Mayville firefighters at a home on the grounds of Chautauqua Institution. “We were unsure when we first got there because the whole thing was full of smoke,” Chautauqua Fire Chief Jay Mease said, “but it turned out to be just a chimney fire.” He said damage was confined to minor smoke damage throughout the residence of Francesca Rappole of 39 N. Lake Drive. Thirty-five firemen were on the scene. In 1913, cheering news was received from Peru, Ind. It was to the effect that the Jamestown men employed in that city were all right. The large interests of Jamestown businessmen in Peru made any news from there especially interesting in this city. In order that the Salisbury Wheel Company might secure accurate information in regard to its Peru plant, Erwin Shearman, secretary of the company, left for Detroit where he would join Scott Penfield and together they would go to the Indiana city to make a careful investigation of conditions. While at points on Chautauqua Lake the water was said to be higher than ever before known, the measurements made by the Jamestown engineer at the boatlanding bridge showed that the highwater mark of the past year had not as yet been attained. But whether or not the record of 1912 was exceeded at the boatlanding bridge, it was certain the record was more than exceeded at points up the lake. A northwest wind sweeping down the lake in the afternoon rolled the waters higher and higher on the shores in the vicinity of Celoron and Beechwood. Jamestown Chief of Police Edwin M. Nyholm was surprised by a host of friends, including several city officials and most members of his department as he celebrated his 50th birthday at his home, 80 Stewart Ave. on Sunday. The affair, arranged by Mrs. Nyholm, took the chief entirely by surprise but like the good policeman he was, he proved himself equal to the occasion. “It looked like a raid,” he explained as he responded to the felicitations of his friends. Mrs. Nyholm served a Swedish smorgasbord for the great number of well wishers who visited the home during Sunday afternoon and evening. In 1963, a $150,000 fire destroyed the main structure of the Brown Milling Co. at 2:30 a.m. in Randolph. The loss was only partially insured, William Decker, one of the three owners, said. A fireman was injured as more than 50 volunteer firemen from seven fire companies battled the flames. Fortunately, there was no wind and the fire was confined to the main building, one of four connecting structures, housing thousands of tons of grain and seeds for spring planting. The fire apparently started from friction after a belt slipped off an elevator pulley while a crew of four men moments before had completed emptying a carload of bran from a boxcar on the Erie-Lackawanna Railroad siding adjacent to the main structure’s storage bins. Linda Apotosh, a sixth-grade student in Joseph Maietta’s room, was pronounced the Lakewood Elementary School’s champion speller when 18 fifth- and sixth-graders met for the annual spelling bee. Brenda Segerlin from Mrs. Jean Hodges’ sixth grade class was second. Runners-up were Dorothy Cole from Mrs. Martha Peterson’s sixth grade class and Wendy Conover, a pupil in Joseph Maietta’s sixth grade class. 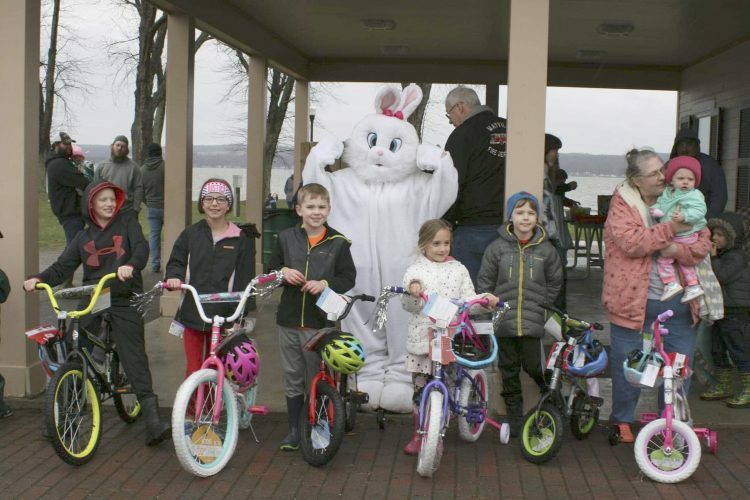 In 1988, Robbie Godwill and Ivory Smith of Sinclairville, who attended an Easter egg hunt sponsored by the Sinclairville Preschool Mothers Club and local merchants on Saturday, sized up the number of goodies on which they would be feasting. They were among approximately 90 youngsters from toddlers to sixth-graders who uncovered a cornucopia of treats. Strong winds during the weekend were blamed for electrical outages in the Niagara Mohawk Power Corp. and Jamestown Board of Public Utilities distribution systems. Bruce Ellis, manager of Niagara Mohawk’s regional office in Dunkirk, said a pole on the Sherman-Clymer Road was broken by the wind Saturday afternoon, knocking out power to 60 area customers for four hours. In Jamestown, a tree that fell at Arbutus and Dunn avenues about 1 p.m. Saturday knocked out a circuit serving lower East Second Street and lower Falconer Street. The BPU was called out later in the day after a tree that fell near the Apple Inn Restaurant on the Old Fluvanna Road took out a circuit from the Clifton Avenue substation. A service break affected much of the Fluvanna area from near city line to the Fluvanna-Townline Road. In 1913, at 8:30 a.m., Jamestown city engineer Jones made a measurement at the boatlanding bridge and found the Chadakoin River was within 2 inches of the highwater mark of a year previously, and the highwater mark of a year ago was the highest mark within the memory of the oldest inhabitants of Jamestown. It far exceeded any record that could be found in the city engineer’s office. The water was still rising. The city engineer said he would make another measurement later in the day and he expected to find the highwater mark had been reached. The slash boards were removed from the Wilson Dam but it afforded little relief. The truth was the water was coming down from the lake faster than the river could carry it away. Seldom had there been such an urgent demand for immediate action on behalf of the suffering people of our own country as came from Ohio, Indiana and other sections of the country which had been overwhelmed with high waters. The Red Cross society had an opportunity to do much toward relieving the unfortunate conditions that existed at Dayton, Ohio; Peru, Ind., and other cities if a hearty and ready response was given to the appeal for help. Those who could give money for this purpose were asked to leave it promptly with Brewer C. Phillips, treasurer of the local Red Cross society at the Bank of Jamestown. A very urgent demand was being made for motor boats to be used in rescuing the perishing and recovering the bodies of the dead in many places in Ohio and Indiana. A large audience of Jamestowners were taken on a trip into the stratosphere by Professor Jean Picard, scientist and balloonist, who gave an illustrated lecture at the Washington Junior High School under the auspices of the Kiwanis Club. He discussed his several trips into the upper regions and stated he hoped to make an experimental trip over the summer. The lecture was based on notes taken on a trip 10 miles above the earth. Professor Picard showed several stereopticon views of his trips and his assistants preparing for the ascensions. He described the stratosphere as “very beautiful” and said that at a height of 10 miles the temperature was 70 degrees below zero. In 1963, a bomb scare in the morning at Dunkirk High School had police and fire officials searching the building and surrounding area following the evacuation by students and school personnel. Franklin H. Hazard, superintendent of schools, said that the principal, Richard Hayes, received an anonymous phone call at his home shortly before 8 a.m. The caller told Mr. Hayes that a bomb set to go off at 9 a.m. had been planted on school premises. School officials immediately evacuated the building. A thorough search and doublecheck by police and fire department members failed to reveal a bomb. Several clues, however, found by investigating officers were expected to be of value in the apprehension of the anonymous caller. The Allegheny River, well-behaved to date, continued to roll menacingly through Warren on this morning, hovering at one-tenth of a foot below flood stage as borough residents anxiously watched the temperature and the skies, both of which bore the potential of a serious flood. In Warren, low-lying sectors adjacent to the Allegheny River and Conewango Creek were under water and basements of homes in low-lying sections were flooded. Serious damage could be expected if the river level reached 15 or 16 feet. River experts had predicted the river would reach 15 feet by this morning and 16 feet by afternoon. A drop in overnight temperature, however, slowed the runoff of snow, thus slowing the river’s rise. In 1913, although the high water in Jamestown was causing Jamestown manufacturers much uneasiness and no little loss on account of being forced to shut down their plants, the greater disaster outside claimed the most attention locally because of the fact that many had relatives and friends in the flood swept towns. This was particularly true of Peru, Indiana, where Jamestown capital was largely interested in a plant manufacturing automobile parts. This plant was started by those interested in the Salisbury Wheel Company. Erwin D. Sherman who was interested in both plants told a representative of The Journal that the Peru plant was located on high ground where it probably would not be affected by the flooding. Residents of Lakewood and the large contingent of Jamestowners who made their summer homes at Lakewood and Beechwood would learn with interest and pleasure that they were to have a five cent fare on the Jamestown Street Railway Company’s line. The terminal of the line would be at Lowe Avenue which was at the extreme western end of the village. The five cent fare would be established on or before June 1. The street railway company would practically double its present service which would mean a car to and from Lakewood every 15 minutes. In 1938, work was being rushed in this week on remodeling part of the C & E building at Ripley which would house a cheese factory. At a recent meeting, T.A. Lewis and his son, Max, who formerly operated a plant in Niobe, N.Y., agreed to open the plant in Ripley. The company formed by the producers was cooperative in character, the farmers handling their own money and paying the Lewises at the rate of two cents a pound for manufacturing the cheese. An 84-year-old man fell dead from heart failure Friday as he attempted to stamp out a grass fire. The flames swept on and burned his body. The victim was John Marcello of Westfield. Authorities said the heart attack was evidently the result of exertion. The grass fire, which was burning at the rear of the McMann property along the J.W. & N.W. track had spread to within 20 feet of a warehouse and Marcello was beating and stamping it to curb it from spreading when he suffered the attack and fell into the flames. No one saw him fall. The body was discovered by Harry Hehir. The deceased was survived by one daughter, Miss Frances Marcello of Westfield and one son, John, of Buffalo. In 1963, the village of Lakewood would have 24-hour police protection after June 1, according to action taken by the Village Board. The board decided to increase the police department to four regular and two special police officers. Mary Gale Weatherlow of Summerdale was 16 years old this day. She was born at home because a real merry gale prevented a trip to the hospital for her parents, Mr. and Mrs. Clarence Weatherlow. Mr. Weatherlow and the baby’s grandmother, the late Mrs. Daisy McCleland, made the delivery, assisted by telephoned instructions from Dr. Robert Northrop in Westfield. It was the doctor who suggested the baby’s name. Mary Gale was a sophomore at Sherman Central School. In 1988, floods were accepted as commonplace during certain times of the year in numerous parts of the country but there were precautions that could be taken to reduce their impact. Western New York had its traditional flood areas but in this year was expected to be largely spared from high water problems, due to a relatively light winter snow pack and a gradual melt that permitted the water to run off during an extended period. Ask Robert M. Karbacka where the next moundful of dirt was being dug for a new house in Jamestown and he was likely to rattle the answer off in a matter of seconds. Karbacka knew the most intricate details about construction projects in the area for one simple reason: It was his job as the city’s one and only building inspector. As a self-employed carpenter in the early 1970s, he never dreamed he’d end up issuing building permits, checking a site for a swimming pool or listening to the latest squabble over a property line. But while visiting a friend here more than 16 years ago, he unexpectedly learned of an opening for a housing inspector position, interviewed and got the job. In 1913, Jamestown was again confronted by flood conditions. The Chadakoin River rose 16 inches in the past 24 hours and was still rising. The water was over the flats on Jones & Gifford Avenue and was lapping the street railway tracks. Wilson’s Mill was forced to shut down. Other factories on the Chadakoin would be closed soon if the water kept rising. The water was within six inches of the limit the Shearman Brothers’ factory could stand. The factory was still running but a rise of six inches more would mean a shut down there. Memorial Day in Jamestown in this year would possess a double significance for the reason that not only would the veterans of the Civil War and the people of the city in general do honor to memory of the soldiers and sailors who gave up their lives in that conflict or had died since, but Samuel M. Porter camp, No. 43, Spanish War Veterans, would honor the memory of their comrades of the Spanish-American war and the Philippine insurrection by dedicating a 10-inch shell from the United States battleship Maine, mounted on a huge granite boulder. This unique memorial had been placed on the summit of Monument Hill in Lake View Cemetery. In 1938, seventy-seven percent of the 336 students at Hamilton College in Clinton participating in a recent poll said they would not participate in a war abroad. Announced and conducted by the college press board, the poll also disclosed that 81 percent would serve in the United States armies if this country were to be invaded. Asked whether they would bear arms in defense of American interests in other countries, the students returned an overwhelmingly negative answer. Only 23 percent said they would be willing to participate in any war the United States might declare and of those, only one-third would volunteer for service. In 1963, Italian furniture manufacturers on a two-day tour of Jamestown area furniture manufacturers’ plants and retail furniture stores were amazed to find the mammoth room displays of furniture and other household goods in the several stores they visited. Stores visited were Field & Wright Co., Wellman House and Caprino’s The group also visited the new St. John’s Roman Catholic Church and had lunch at Jamestown Community College cafeteria. Every one of the visiting furniture manufacturers, mostly from northern Italy, brandished notebooks and asked many questions of retail furniture men through their Jamestown Italian interpreters. Following a hectic day of re-routing curiosity seekers and untangling traffic jams at the flood-stricken Sunset Bay community, Town of Hanover officials directed operations for repairing streets and filling washed-out spots. Warm weather brought out a score of Sunday drivers the previous day and the narrow streets of this six square-mile community soon became crowded with cars. The congestion of autos hampered and finally stopped trucks from hauling away debris caused by the flood of one week ago. Deputy sheriffs and Sunset Bay Association members set up at Allegany Road, the entrance to the bay, to check identification of drivers. In 1988, statistically it looked as if unemployment was down in February in Chautauqua County, but the drop was recorded because not as many people were looking for jobs the past month as there were in January. Overall, more people were working than a year ago. The evaluation was made by Ronald Scrace, senior economist with the Buffalo office of the Unemployment Insurance Division of the state Labor Department. He said non agricultural jobs in the county increased by 1,800 the past month for the highest February level ever in the category. Jamestown General Hospital’s $3.6 million plan for a mental health complex had been dealt another blow by a state health advisory panel, which turned down the proposal and instead supported WCA Hospital’s $36,000 plan for a 20-bed alcohol rehabilitation unit. After no discussion, the state Hospital Review and Planning Council voted to reject Jamestown General’s plan to build the Institute of Behavioral Medicine, making it the third thumbs-down recommendation the project had received. In 1913, western Pennsylvania caught the full force of the windstorm of Friday afternoon. In Union Township the wind blew a rural free delivery carrier’s light buggy clear off the road and landed it in the ditch on its side. In the city of Meadville, at times the streets were so filled with dust and papers and other flying debris that one could not see across the street. About 15 feet was knocked off one of the tall stacks at the city plant of the trolley power property and another stack was torn loose. A piece of the cornice of the Christian Church on Center Street was torn off and the tower badly damaged. A big stack at the Smith Lumber Company plant was laid low. At the meeting of the Jamestown Common Council the past week the board of estimate and review was authorized to purchase a Ford automobile for use in city work. The purchase had been consummated. The new automobile was a four-passenger car. The inscription D.P.W. was placed in gold letters on the door. The members of the board needed an automobile to travel to various points of the city to inspect various city jobs. In 1938, because Hitler invaded Austria and subjected it to Nazi rule, a little hill near the quiet village of Ellicottville regained its Yankee name this day. Henceforth “Fish Hill” would be called just that and not “the Ariberg slope.” Two months ago the Ellicottville Ariberg Ski Club, headed by Dr. G. Wilber Northrup, decided to rename Fish Hill “the Ariberg Slope,” in honor of Hannes Schneider, Austria’s world famous ski teacher and originator of the Ariberg technique. Meanwhile, Hitler’s marching armies invaded far off Austria. Schneider was placed under arrest and his place taken by a Nazi. So, Dr. Northrup announced the club had decided to change the name of their winter playground back to “Fish Hill” in protest to Nazi action in removing Hannes Schneider as president of the famous Ariberg Ski Club and placing him under arrest. “I’ve been fishing out of Dunkirk 38 years and have found there’s not much use of trying to buck Mother Nature,” Frank B. Spencer, captain of the fishing tug Rowira, said as ice continued to hold boats harborbound. Fishermen had been carrying their dinner buckets to the docks every morning for two weeks in hopes of being able to make the run out to their nets but ice which came back down the lake late the past week barred the way. Captain Spencer pointed out the narrow bottleneck at the east end of the lake must take care of all the broken-up floes from the 55-mile-wide upper lake. Some hopes of getting out were held the previous day but a look up the lake from Van Buren Point disclosed the ice field stretching westward to the horizon. In 1988, Education Secretary William Bennett’s proposal to wipe out student loans to colleges with high default rates seemed destined to fail. “Congress won’t allow that,” Brian Fitzpatrick, spokesman for Rep. Amory Houghton, R-Corning said. “I think based on the reception that William Bennett got when he floated the idea, it’s not going to go,” he said. That would be a relief to Jamestown Community College, one of the institutions that was to lose its funding under Bennett’s plan to deny federal loans to all students who attended schools with loan default rates higher than 20 percent. State scholarships for college were more evenly distributed between males and females in 1988 because of a one-year experiment that required high school averages to be considered along with standardized test scores, state officials said. Of the 25,000 Regents scholarships awarded to this year’s high school seniors, about half went to males and half went to females. A year ago, males won 57 percent of the scholarships which were worth up to $1,250 over five years at public or private colleges within New York state. In 1913, Laverne Engstrom, the 10-year-old son of Mr. and Mrs. John P. Engstrom of Prospect Street, Jamestown, was the victim of an accidental shooting affair Friday afternoon when a 32-caliber rifle, carried by his 10-year-old companion, Rudolph Peterson, who lived on Park Street, was accidentally discharged and the bullet passed through both of his legs about eight inches above the knees. The accident happened just beyond the city line not far from Forest Avenue. A third boy, Kenneth Anderson, had brought along the gun and had handed it to the Peterson boy, when it was accidentally discharged. Dr. F.H. Nichols was called and found that the bullet had fortunately missed the bones. The lad did not lose consciousness and was doing well. Corbin K. Willard was born in Jamestown April 16, 1829, and was the oldest living person who was born here. He had seen Jamestown grow from a mere hamlet with a population of less than 800 to a thriving city of 35,000. His father, Hermis Willard, came here from Vermont in 1820 and settled on land now occupied by the Jamestown Lounge Company. Willard Street was named in his honor. Corbin did not look a day more than 60 years of age and, although nearly 84, was well and strong, with sight and hearing almost as good as ever. He claimed never to have been ill in his life and attributed his long life to the fact that he had abstained from the use of liquor and tobacco. In 1938, all of Jamestown’s fire apparatus was called out at 10:30 p.m. the past night when fire broke out in an apartment at 119 W. Third St. occupied by L.J. Rashid, Oriental rug dealer. Mrs. M.B. Shepard, landlady, discovered the blaze which started in a kitchenette in the third-floor apartment. The place was unoccupied at the time. It was believed the fire started in a suitcase which was found standing against a wall. The wall was ignited with resultant damage estimated at about $100. The students of Russell School were making plans for the publication of “The Panther” of 1938. The students were working to make this book the best that had ever been published by Russell High School. In order to lessen the financial shortcomings created by this, the school recently served a penny supper at the church, making a profit of about $30. The Panther staff included editor-in-chief Ruth Amadon; assistant editor Margaret Lindquist and business manager Vivian Hale. In 1963, Jamestown police were becoming increasingly concerned over rising incidence of arrests on charges of driving while intoxicated. Officers made eight such arrests the past month and Capt. Roy W. Peterson, traffic division head, said he could not recall a previous month when arrests on the serious driving charge had reached this figure. The captain commended patrolmen for their vigilance in effecting the arrests before any serious accidents resulted but at the same time called for increasing awareness on the part of motorists of the seriousness of the charge and possible disastrous consequences of such action. Two 15-year-old Celoron boys who admitted having been involved in illicit joy rides in at least four vehicles the previous evening, were being detained for juvenile authorities at Jamestown Police station. One of the boys, driving a 1953 Mercury which had been reported stolen in Falconer earlier, was stopped by officers at Crane Street and Foote Avenue. When one of the officers ordered the boy out of the car, he climbed out of the window on the opposite side of the vehicle and ran. He succeeded in eluding the pursuing officers, disappearing into the darkness. The stolen vehicle continued to roll forward, grazing the front of the police cruiser and slamming into a cement wall. A 1958 Buick being driven by the other teenager had been following the Mercury. The boys were eventually apprehended when an acquaintance located them and persuaded them to accompany him to the police station. In 1988, if nothing changed by the following year, Jamestown Community College students would be ineligible for guaranteed student loans. Under a proposal by Education Secretary William Bennett, the government-backed loan program would not fund any students at schools which did not bring their student default rate below 20 percent by 1989. If statistics did not change, that proposal would cut funding to one-quarter of the schools involved in the program. Jamestown Community College would be one of them. A few onlookers watched the previous morning as an old apartment building was demolished on Chautauqua Avenue in Lakewood to eventually make room for a new post office. The U. S. Postal Service bought the property at the site the past December but construction of the new facility had been put on hold in the wake of federal budget cuts. In 1913, the floor under the big range of the Black Bear kitchen on East Third Street in Jamestown, caught fire the previous forenoon and was regarded as serious enough to summon the city hall firemen. They chopped a hole in the floor and with the use of chemicals extinguished the blaze, which in a few minutes would have developed into something serious. The only loss was the damage to the floor, which would require a few dollars to repair. Justice Maharon was requested to issue a warrant charging bigamy against one William W. Woods who it was stated was under arrest at Olean on that charge. The warrant was not issued because no proof was presented of the first marriage of the defendant. The records of the registrar of vital statistics in Jamestown showed that on Jan. 16 of the present year, William W. Woods who gave his residence as Hamilton, Ontario, and Florence E. Piper, who said she resided at St. Catherines, were united in marriage by the Rev. Charles Shaw of the Presbyterian Church. It was stated that Woods had a former wife living but no proof of this act was submitted to Justice Maharon. Consequently no warrant was issued. In 1938, residents of Maple Springs were making friends with a wild buck, believed to be about a year old, that had wandered fearlessly about the neighborhood according to one of the residents, Carlton Winchester. The animal proved to be exceptionally tame, Winchester reported, feasting daintily on morsels of salt and even a few cigarettes fed from his hands. The buck first appeared at the lake side about 6 in the morning. The animal followed many of the children who were on their way to school. A greyhound dog, owned by Hugo Lindholm, a resident of Maple Springs, was also reported as wandering about with the buck and that the animal actually seemed to enjoy the dog’s company. Friday didn’t have to be Friday the 13th to be an unlucky day for Mrs. Elizabeth Toner of Panama. In the morning, Mrs. toner caught her hand in the wringer of her electric washing machine and received severe injuries. In the evening she was hit by an automobile and knocked to the pavement, again receiving many bruises but no broken bones. In 1963, Lori Ann Crossley, 3, received a giant chocolate key from Franklin V. Wymer to officially open Wymer’s new store in the Main Street parking ramp at Main and Second in Jamestown this day. Candy was being given away from 9 a.m. to 9 p.m. for the day to introduce Barton’s internationally known chocolates. Wymer’s would sell cards, party supplies, chocolates and pastries. Twin daughters were born the previous night to Mrs. Margaret Cohen Jarmolowski, at Westfield Memorial Hospital. Mr. Jarmolowski was fatally injured four days previously when the truck in which he was riding was struck by a train at the Pearl Street crossing in Westfield. Funeral services were held March 20 from St. James Roman Catholic Church with burial this day in St. Mary’s Cemetery, Wilkes Barre, Pennsylvania. The four other Jarmolowski children ranged in age from 5 to 15. In 1988, Tennessee Sen. Albert Gore Jr. got compliments, but no endorsement, from Mario Cuomo during a long-awaited meeting with New York’s Democratic governor. “He’s very bright,” Cuomo said of Gore. “He’s very deep in his knowledge of government … He has a particular kind of appeal that’s especially attractive to the Democratic Party at this moment.” But Cuomo said he and Lt. Gov. Stan Lundine were not ready to publicly back one candidate and he again downplayed the importance of their endorsements. The governor said it was “nice” of Gore to “come by,” but he said the Tennessee senator’s positions were already well-known to him before their one-hour, closed-door meeting at the state Capitol. Reconstruction of the closed Tiffany Avenue bridge between Jamestown and Falconer might be moved ahead a couple of years from its projected 1991 schedule, according to Chautauqua County Public Works Director George W. Riedesel. The structure had been closed since late the previous year after an inspection found it in unsafe condition. Riedesel told members of the Legislature’s Public Works Committee that the state DOT schedule called for reconstruction of the bridge to begin in 1991. He said, however, that the DOT’s Buffalo office appeared to be looking favorably on moving it up – possibly to 1989. In 1913, two persons were killed and one injured when an automobile plunged down a steep embankment into the water on its way through the Montezuma Marshes, five miles north of Seneca Falls. The dead were Miss Lottie Voorhees and Raymond B. Haist. Miss Myrtle Freeman was slightly burned. John O’Connor was the only occupant uninjured. All came from Syracuse. The party was riding in a car which O’Connor said was borrowed of Jack Colbin of Syracuse. Haist, who was steering, turned to speak to those in the back seat when he lost control of the wheel. The car skidded off the road and landed upside down in the water. O’Connor was thrown clear of the wreck. The small shed on Washington Street in Jamestown, used by the contractors engaged in erecting the new Eagles’ temple was blown down by the high wind on this afternoon. A section of the fence surrounding the property of the United States government across the street was also blown over. Spring arrived this day and it was worth writing home about. Such a beautiful March 21 was so unusual here that everyone on the streets of Jamestown was talking about it. The previous year’s weather was cold and dreary and two years ago, Jamestown had not yet dug herself out of the snow drifts – but this day was perfect. While Chautauqua Lake was not yet free from ice, the little that remained was honeycombed and liable to drop out of sight any minute. Calico bass were biting and hundreds of men, women and children struggled for footholds along the canals at Ashville and Beechwood, pulling the fish out as fast as they could bait the hooks. In 1963, talented and versatile piano virtuoso Liberace would appear in concert on April 17 in Merton P. Corwin Auditorium of Jamestown High School under auspices of the Jamestown Optimist Club. Proceeds would go to the Boy’s Work Fund which had a total budget of $4,031.90. Patron tickets at $5 each could be purchased from any Optimist Club member and would be on sale at Eckerd’s Drug Store, Girtons Flowers and Gifts and the Music Box. Liberace’s program repertoire would include his pleasant, intimate vocals, a soft shoe act, light and serious interludes at the keyboard and a maximum of surprises. His trademarks – the glistening smile, candelabra and lavish wardrobe – would transcend the innovations of the production. Winter was officially scheduled to give way to spring at 3:30 a.m. this day but reluctant to terminate its tenure here, clobbered the county with another blast through the previous day and into the night. Hardest hit in the latest onslaught of a waning winter was the Portage Road portion of Route 17 between Mayville and Westfield. Throughout the day and into early evening, convoys of snowplows and sand trucks led motorists over the hump there. Visibility was reduced to zero by the swirling, wind-whipped snow and the pavement was described as extremely slippery. Anderson International of Jamestown, which specialized in asbestos removal, would hold training seminars for potential asbestos inspectors. The company received tentative approval for its proposal from the state Health Department, company spokesman Carl Anderson said. “We’ve had the verbal OK,” Anderson said. The company expected to start its training seminars in the first part of May. Anderson said the course was designed to serve contractors. “Under the new state law contractors have to be certified by the state,” he said. In 1913, District Attorney Edward J. Green, who was at Westfield with Assistant District Attorney Thrasher, Sheriff Anderson and several deputies, investigating the death of Gaspard Palliggi, was very certain from the evidence already secured that it was a very clear case of murder. He had traced the movements of the man who was killed from the time he came here from Ripley, until evening of the day when his body was found beside the Lake Shore railroad tracks. An Italian with an unpronounceable name was already in custody, held as a witness. Other developments were likely to follow at any moment, as the sheriff’s department reinforced by George Harrison of the Jamestown police force, was engaged in running down a half dozen leads, any one of which could lead to the right party. The month of March had been a record-breaker for the number of important golf events which had been scheduled for it and in every part of the country the results of these tournaments had been eagerly awaited by an increasing number of men and women who each year were becoming enthusiastically interested. Golf was a game for all the year round. Even upon a comparatively cold day the enthusiastic golfer could manage to keep his blood in active circulation during a brisk run around his course, while upon a warmer day he may take the exercise more leisurely. The golf “fans” were increasing in number every season and their interest was becoming quite as keen as that of the baseball “fans.” Golf, as a game, appealed to a larger class of people than any other outdoor sport. It was equally suitable for men and women, both young and old. Two hitchhikers were arrested under unusual circumstances the previous morning when the driver who picked them up became frightened as to the possible designs of his “guests.” The driver picked one of the men up on North Main Street in Jamestown. He had traveled only a 100 feet farther when his passenger asked him to stop and pick up another hitchhiker, the first passenger’s brother. The driver did so, but then excused himself for a moment on the pretext he was going to visit a friend. He called police headquarters instead. The two brothers, Joe Chozanski, 49, and Martin Chozanski, 52, both of Buffalo, were brought to police headquarters on charges of being disorderly persons. The charges were dismissed by Judge Allen E. Bargar in city court. In 1963, an application for state and federal funds had been made to relieve flood victims in the Sunset Bay area in northern Chautauqua County. Town of Hanover Supervisor Hall R. Clotheir said about 250 families were made homeless by the flooding Cattaraugus Creek which sent ice-choked waters surging into the community during Sunday’s thaw. Damage was estimated at about a half million dollars and officials said it would be about two or three weeks before owners would be able to move back into their homes. Mr. Clothier said the floors of many homes were covered with up to a foot of mud. He said Rep. Charles E. Goodell, Jamestown, and Chautauqua County Assemblyman A. Bruce Manley, Fredonia, had assured him they would investigate every possible source to determine if the flood-battered area west of Cattaraugus Creek, between Routes 5 and 20 and Lake Erie, could qualify for aid. Lakewood Mayor Nels Carlson, embroiled in a battle over the village’s sewage disposal system, lost by one vote the previous night in his bid for re-election, in the closest race in village elections conducted in communities throughout the area. Carlson received a total of 679 votes while his Democratic opponent, Roland C. Rapp, polled 680 in one of the closest mayoralty elections ever recorded here. Mr. Rapp lost to Mr. Carlson two years previously by less than 10 votes. A total of 1,371 votes were cast, the largest number of votes ever recorded for a village election here. However, the Republican candidates for trustee vacancies won out and the village board would still be controlled by the Republicans by four to one. In 1913, Henry Perks, one of the oldest and best known residents of Warren County dropped dead on the W.A. Talbot farm near Warren this morning aged 70 years. He was working in the garden at the time and was seized with apoplexy, dying alone and his body not being discovered until about an hour later, when one of the neighbors found it. Perks was the father of James and Thomas Perks of Warren and the body was taken there. Village elections were held in the villages of Chautauqua County the previous day. In the only village in the county where the Republicans and the Progressives came into a straight contest, the Republican ticket was elected by a big plurality. This was in the village of Panama. Interest there was hardly short of that on a presidential election, according to the report received from the Journal correspondent. A total of 68 votes were cast in Panama out of a registration of 80. The reverse was true in Falconer where the Progressives won every contested place. In 1938, Reichsfuehrer Adolf Hitler wanted four more years of power “to complete the tasks ahead in the greater Reich.” Another step toward consolidation of Austria into the Nazi domain was taken the previous day when the old Reichstag was dissolved and new legislative elections were called for April 10. The new Reichstag would be the first to represent the greater Germany. Hitler announced that all of Germany, including Austria, would vote at the same time on union of Austria with Germany. Heads of the various veteran and patriotic organizations of the city of Jamestown would meet at the Governor Fenton mansion, Soldiers’ Memorial Park on April 2 to formulate plans for the annual observance of Memorial Day in Jamestown on Monday, May 30. At the meeting, a committee would be appointed to secure a speaker for the exercises in lake View Cemetery, following the parade to be held at 10 a.m. In 1963, Chester A. Jarmolowski Sr., 42, of Westfield became Chautauqua County’s third motor vehicle victim of the year the previous afternoon when the power company truck in which he was riding was struck by a train. A moment before the accident occurred at the West Pearl Street grade crossing of the Nickel Plate Railroad in Westfield, Jarmolowski saw the train approaching. Jarmolowski was one of three riding in the truck which was driven by Robert Clawson, 42, who suffered only a bump on the head. Clawson stated that he asked Jarmolowski if there was a train coming. Jarmolowski was quoted as saying, “no.” As the truck was nearly across the tracks, Mr. Jarmolowski said, “There is a train coming, Bob.” Jarmolowski, father of four, was employed as a lineman by the municipal electric company. The other power company employee, Melvin Carrahaer, 38, also of Westfield, suffered facial and head cuts and was treated at Westfield Memorial Hospital. When a Nickel Plate Railroad freight train struck the truck in Westfield, the impact of the crash pinned a railroad employee between his own car and a building. Victim of the strange accident was Joseph Borello, 52, of Brocton, who was pinned between his own car and the Nickel Plate Railroad building. Borello was a track foreman for the railroad. Borello’s car was parked near the grade crossing. The truck which was struck by the train was hurled against the parked car, forcing the car against Borello and the wall of the building. Robert Clawson, driver of the truck, secured the car keys from Borello’s pocket and backed the car away to free the man. Borello was taken to WCA Hospital for treatment of compound fractures of the left hip and both legs. In 1988, Lt. Gov. Stan Lundine had assured members of the Committee for the Preservation of Route 394 that he would ask state Transportation Commissioner Franklin E. White and his deputy, Charles Carlson, to again review plans for its reconstruction. Committee members were strongly opposed to making a section of the route in West Ellicott a five-lane roadway – two driving lanes in each direction and a center turning lane. Without a doubt, James Barlow, at age 67, wasn’t your typical farmer. In fact, he was probably the last of a dying breed. What started out as a hobby 15 to 20 years ago turned into a business for the Jamestown native, who was believed to be the only egg farmer left in the city. “I’m really the only egg farmer,” said Barlow, a retired welder. He was known about town as “the egg man” and his wife, Virginia, was called “the egg lady.” And the couple was content to keep tending their 2,000 chickens, which produced about 100 dozen eggs per day in a rustic-looking barn 50 feet behind their home on Willard Street close to the city line. Eggs had become Barlow’s full-time business – the perfect supplement to his social security income. In 1913, the Fairview School in Corry at the corner of Main Street and Second Avenue was threatened with destruction by fire on this morning and only the timely discovery of the blaze prevented the old frame building from being burned to the ground. The fire started from an unknown cause in the basement of the building near the heating plant. It had gained great headway by the time the alarm was turned in. The firemen experienced considerable difficulty in fighting the flames on account of the dense smoke. It was expected that the building would be repaired within the next few days. Although sweeter singing had been heard in the First Methodist Episcopal Church at Jamestown on many occasions, none had ever been greeted with more downright enthusiasm than that occasioned at the annual meeting of the Methodist Brotherhood when a chorus of 50 veterans of the Civil War sang “Marching Through Georgia” and “John Brown’s Body.” There was not much real music to it, to tell the truth, but there was something about the scene and the singing which aroused the greatest enthusiasm and the applause burst forth again and again. In 1938, the Jamestown pilgrimage to Philadelphia and Wilmington, Del., in June for the celebrations marking the 300th anniversary of the first Swedish settlement in America would be made by chartered Erie train making the trip from Jamestown to Philadelphia without change. It was estimated by heads of local groups making the celebration plans that there would be fully 400 persons aboard when the train pulled out of the local station. Included in the Jamestown party would be the Jamestown concert band of 30 pieces, and a male chorus of 60 voices selected from the local Swedish male choruses. Traffic Officer Vernon D. Chipman of the Jamestown Police Department operated the 15-watt station transmitter during a demonstration of the new RCA two-way police radio system in Jamestown Thursday. Det. Lt. F. Bernard Clark and Mayor Harry C. Erickson watched as Chief Edwin M. Nyholm conversed from a police car with the operator at police headquarters. Officials pronounced the tests eminently satisfactory. RCA engineers told them equipment for the station and five police cars would cost about $5,000. In 1963, two Lakewood youths, age 13 and 14, were apprehended at 1:40 a.m. on Route 20, Town of Ripley, and charged with driving a stolen car. The pair was alleged to have taken a car from the lot of Ticknor’s Garage, Lakewood, at about 7:30 p.m. the previous evening after entering the garage to get dealer’s plates. The youths were turned over to their parents to await family court action. Troopers E.L. Milks and C.C. Lee of the Westfield station, apprehended the pair. Cattaraugus Creek swelled and overflowed the previous morning. During the day the creek continued to pour water into lowlands on the Chautauqua County side of the waterway and by 11 p.m. Routes 5 and 20 were closed to all passenger cars. Tractor-trailers were able to crawl through the 3-foot high water. There was no panic among long-time residents evacuated from their homes. In the morning there were 50 persons left in the Sunset Bay Fire Hall. Two men identified only as Jones and Burghardt, were isolated for some time on a picnic table. Passing firemen in a boat attempted to rescue them but the two warned them off because of “floating debris and swirling waters.” They were reportedly rescued later in the night. In 1988, all that was left of Frank and Madeline Lucas’ home on Hamlet Road, Villenova, was charred ruins. It was destroyed by a fire of unknown origin the previous afternoon. The fire was reported by their son, Richard, at 12:44 p.m. He was in the basement when he heard a loud noise upstairs in the kitchen area. He said he left the basement through an outside door and found flames shooting out of the kitchen windows. Darlene Anderson, a daughter, said the family had no insurance on the home. “They lost everything. After all these years, they have nothing,” she said. Anderson said that her brother burned his arm saving one of the family’s dogs. The heat of the fire was so intense it melted a telephone cable leaving homes in the area without service for several hours. Sen. Daniel Patrick Moynihan, D-N.Y., was slated for two appearances Saturday in Jamestown. He was scheduled to conduct a public town meeting in the Crystal Ballroom Senior Citizens Center in the Hotel Jamestown. The meeting would be open to the public and anyone wishing to ask the senator questions or offer comments regarding any issue relating to the federal government was welcome to attend, according to Jamestown Mayor Steven B. Carlson, who would moderate. Moynihan was also scheduled as the keynote speaker at the Chautauqua County Democratic Committee annual dinner at the Jamestown Holiday Inn. In 1913, a minimum wage bill would be introduced in the New York state Senate and Assembly by Progressives. It provided for the creation of a minimum wage board of five members with power to appoint local wage boards for any industry or locality where wages were probably below the living standard. The local boards would have the power to investigate, recommend and report to the state board which in turn would give hearings and have power to modify, approve or set aside the findings of the local boards. The body of the man who was found in the Chadakoin River at East Jamestown near the city line Saturday afternoon, had been identified as that of Benjamin Swanson of Peach Street. The identification could only be made by articles in the pockets. In one pocket was found some tax receipts bearing the name Benjamin Swanson. Other articles found were a silver watch and pocketbook containing $5.61. The family was notified and Mrs. Swanson, along with two of her three sons, completed the identification. Swanson had been missing from his home since the past Christmas evening, having left the house about 6 p.m. His watch had stopped at 7 o’clock. It was surmised that he accidentally fell into the river. In 1938, the Jamestown Evening Journal had added a local photographic department to the organization of the newspaper which would make possible the featuring of spot pictures of the news events in Jamestown and vicinity. Several such pictures had already appeared in The Journal over the week, supplementing in graphic pictorial details the news of the day. A photographer had joined the staff to supplement present world pictures. Included among the several pictures made had been scenes from a safecracking attempt, Falconer’s village election, city firemen in their gas masks responding to an emergency call when gas fumes filled a local restaurant, and the opening of the high school debate season. The introduction of an amazing tableau of new color combinations, new lines and new beauty, was made by merchants of Jamestown in their attractive spring opening displays which would be continued through the end of the week. Discarding the dark, dull shadows of winter, the new colors at first seemed almost breathtaking as they burst forth in their combining effects, such as green and violet and turquoise, magenta and purple, copper, mustard, and even soft pastels. What caught the eye first were the straight and slim lines in the new spring coats of fine wool, the smart tailored suits and ensembles, the youthful cut of daytime dresses and the variety of styles for evening wear. In 1988, loans involved in the purchase of two Jamestown businesses and the expansion of another city business had been approved by members of Jamestown Local Development Corp. Thomas D. Johnson, operations manager of the area’s Empire News, proposed to acquire and renovate U.S. News at 107 W. Third St. in the city in a project with a total cost of $200,000. Approval by corporation directors of a $50,000 loan was made. Thomas P. Stear attended the meeting as prospective purchaser of Swanson’s Potato Chips at 300 Steele St. in the city. He also was approved for a $50,000 development loan. Ulla Larsen of Ulla’s Catering in the Commons Mall on East Third Street was approved for a $15,000 loan under the corporation’s “greenlining” program as part of a $30,000 project to establish a coffee shop in the downtown Gokey Center at 16-22 W. Third St.
Changes in Pennsylvania’s regulations on milk temperatures and enforcement of the New York state Department of Agriculture and Markets rules were causing concern among local Amish farmers who shipped their milk for cheese production. The Amish had requested assistance from area representatives. The Amish concerns were as follows: once the Amish met the current regulations there were no assurances that new guidelines wouldn’t be imposed after that; the cost to make the improvements was estimated at $1,500 to $2,000; and that the new rules conflicted with their religious beliefs. In 1913, Charles Munson, one of the best known characters about the village of Mayville, was found dead at his home near the Pennsylvania tracks, south of the village on this morning Coroner Illston was called and after an investigation, pronounced death due from heart failure. It was thought that he had died about March 10. He was probably taken ill suddenly. Munson had resided in the village for many years and for a long time conducted the popcorn stand at the Pennsylvania Railroad station where he was well known to both village people and summer visitors. His pleasant ways would be missed by many in the coming summer. He was about 70 years of age. The Jamestown High School debating team lost to that of Westfield by a unanimous decision at Westfield Friday evening. The question under discussion was: “Resolved, That the federal government should establish and maintain a central bank as planned in Senate document No. 243.” The affirmative was upheld by Jamestown and the negative by Westfield and all three judges decided in favor of the negative. In 1938, fire which broke out early in the morning in the Best Seed Company building on the north side of Main Street, Forestville, destroyed that building and its contents, the Gage Lunchroom and the W.C. Stone general dry goods store adjoining and damaged the Forestville National Bank and the Dye Hardware Store. The origin of the fire was not known. Firefighting apparatus was summoned from Dunkirk, Fredonia and Silver Creek to help the Forestville Volunteer firemen. Mr. and Mrs. Morton Gage, who owned and operated the Gage lunch room and who lived in the building, were carried to safety by firemen. It was believed the new Forestville water line system saved the business section from being completely swept by fire. A drop of 19 percent in the sales of electricity by the Jamestown Board of Public Utilities during January and February as compared with sales during the same two months of 1937, was reported to the board at a meeting in City Hall. The decline was only partly due to the cut in rates which became effective Jan. 1. Decreased industrial activity, increased unemployment and the loss of sales for streetcar power were all reflected in the decrease, according to the report. In 1963, a slight push by a customer entering the new Chili Auto Supply Store in Jamestown caused $250 damage to the entrance glass. A freak combination of temperatures inside and outside the store caused an instantaneous crystallization of the glass doors. The doors, measuring 3-by-7 feet, seemed literally to melt in his hands and crumpled into millions of pieces at his feet. William Bergquist of Falconer, the customer, was nonplused for a full minute while the incongruity of the situation made him speechless. Gust Chili, proprietor of the store, the former Dolly Madison restaurant, 1201 E. Second St., contacted John Johnson of Falconer Plate Glass who informed him chances of an accident of this nature were about one in a million. Sweden’s ambassador to the United States, on his first official visit to Jamestown Friday, April 26, would be honored at two festive occasions open to the public. He also would be taken on tour of the city’s industries, as well as the Furniture Mart and the “Made in Jamestown” fair at the state Armory. Tentative plans were that Ambassador Gunnar B. Jarring would be accompanied by Mrs. Jarring and by Love Kellberg, counsel general of Sweden and Mrs. Kellberg. Festivities open to the public would include noon luncheon at the Moon Brook Country Club and reception and dinner at the Hotel Jamestown. In 1988, Burt Lancaster was the fast-talking tough guy. James Stewart his drawling partner with homespun common sense as they rode into town to fight for a principle – only this time it was real life, not a movie. The two Hollywood legends began a two-day whirl of lobbying in Congress and on television talk shows to plead for the preservation of their film classics against modern moguls out to “make a buck.” Lancaster shook his finger at a packed room of reporters, arguing passionately for a halt to the controversial coloring of black-and-white films. Although he was passionate before the news cameras, Lancaster said he toned town his private performance before members of Congress. “We’re dealing with politicians – and we have to be a little political too,” he said. A motion that had been on and off the table so often that it must be getting shopworn was back there again as a result of action by Chautauqua County Legislature’s Judicial and Public Safety Committee. A frustrated Chester L. Tarnowski, D-Dunkirk, said the motion was in its fourth month of consideration. It called for supporting state legislation that would make it optional for municipalities to provide retirement benefits for volunteer firemen, based on length of service. The proposal was seen as an incentive to recruiting new members and retaining present ones. In 1913, about 3:30 p.m., Victor Carlson, passing over the small foot bridge that spanned a branch of the Chadakoin River near Bigelow Street in East Jamestown near the city line, saw a body floating in the water under the bridge. Carlson gave the alarm, the police ambulance was called, the body was removed from the water and taken uptown. No one in the crowd that collected immediately after the discovery was able to identify the man or offer any theory as to his identity. Hasty inspection did not afford much. The body had been in the water some time. It was possible that a search of the dead man’s pockets would afford some clue to his identity. A Mr. Swanson on Peach Street had been missing for several weeks and it was possible that this was his body. The Boy Scouts of Jamestown had a big time in Brooklyn Square and incidentally many spectators saw something of what this great movement was seeking to accomplish in making manly men of the boys of America. Five of the seven local troops assembled at the junction of East Second and East Third streets early in the evening and marched to Brooklyn Square. The boys made a very creditable appearance as they swung along the street, troop after troop, each under the command of its scoutmaster. Immediately upon their arrival in the square the scouts were reviewed and inspected by Sgt. Freeman Hoy and they then followed a series of drills which attracted the attention of an immense crowd of interested spectators. In 1938, petitions singed by 175 residents of Crystal Bend Road and its vicinity were presented to Squire E. Fitch, county highway superintendent, asking that the Crystal Bend Road be placed in condition so that the neighborhood which was without transportation since the abandoning of the Celoron-Lakewood streetcars, might have service in the emergency in which it found itself. It was the desire of the petitioners that this road, which lay in Ellicott and Busti townships and also in both the villages of Celoron and Lakewood, be made the number one road instead of the number five road on the list of improved county roads promised by the board of supervisors. Jamestown Motor Bus Transportation attempted to give service over this road when the streetcars were abandoned, but when springs on the new buses were broken such service was withdrawn. The feasibility of Jamestown’s withdrawal from Chautauqua County to form a separate political entity would probably be investigated by a committee of city council, although a proposal to appoint such a committee was tabled by council at its meeting the previous night. The surprise move seeking such an investigation was made by Councilman A. Herbert Alm, who said that public agitation for withdrawal from the county was once more on the rise. Proposals for separation of the city from Chautauqua County were made by former Mayor Samuel A. Carlson sporadically during his long career. In 1963, a plucky 3 1/2-year-old boy was resting comfortably in Jamestown General Hospital following a 10-foot tumble through a 20-inch-by-16-inch opening in an attic floor. The child was Jevin (Jab) Kelderhouse, son of Mr. and Mrs. Donald Kelderhouse. Jab was being treated for a fractured nose and possible head and internal injuries. Mouth-to-mouth resuscitation was administered by Harold Casler, a Bemus Point volunteer fireman, who was present when the accident occurred. The Kelderhouses were building a new home and Casler was assisting as carpenter. The boy was in the attic, playing with his pet cat, when he stepped onto an insulated portion, not a solid floor space, and fell through the opening onto the first floor. His father was nearby when he landed. A large roof section of a two-story building at Chandler and River streets in Jamestown collapsed causing water damage to power boats stored on the first floor. Firemen were called to shut off a main fire sprinkler line which was broken by falling roof timbers. They reported “some damage” to the stored boats. No estimate was made of damage to the building which was owned by C.E. Andrews. Cause of the roof collapse was not reported but snow was believed to have been a contributing factor. In 1988, a proposal for more stringent controls on sale and use of all-terrain or off-road vehicles was not expected to have a major impact on the operations of two of the Jamestown area’s major dealers in such machines. The federal government announced a new agreement with the five manufacturers of such vehicles with a hearing set for April 18. Advertising for all-terrain vehicles would begin stressing safety, and would set up new training programs and limit ATV sales. Inspecting the second busiest intersection in the county were Frank Fonti, town of Ellicott code enforcement officer and Kenneth Lyon, village of Falconer trustee. Representatives of Falconer and the town of Ellicott Industrial Accessway Joint Committee met with state and county representatives concerning heavy truck traffic and safety concerns at Main and Work streets in Falconer. According to Lyon, the heaviest traffic was at the intersection of Routes 20 and 60 in Fredonia. In 1913, Mrs. Milton Reed of Straight Run, Forest County, while en route to Kane, Pa., died on a Pennsylvania train. Early in the morning she had given birth to a daughter. She was unable to receive needed medical attention in the camp where she resided, so, as a last resort, was placed aboard a train bound for Kane, Pa. to go to the home of her brother-in-law, Frank Reed. As the train was passing through Nansen, Pa., the woman died. At Kane the baby daughter was placed in charge of relatives and the body of Reed was sent back to Forest County. An item from the Oil City Derrick told of a yearling deer that had been dogged almost to death and was in the custody of a farmer at Dunn’s Eddy. The deer would be released within a few days. On Wednesday some boys saw the little wild thing running for its life and heard the hounds although they were too far away to be seen. The deer plunged into the river, swam across and was able to leap a fence that barred its way but the cold water and long run had completely exhausted it and the creature fell, helpless. The lads had no difficulty in capturing it. They took it to a nearby farmhouse where the owner gave it food and shelter. In 1938, Adolph Hitler motored his triumphal way into the capital of a bloodlessly absorbed Austria this day while France and Britain, accepting his coup, maneuvered to keep him from cutting deeper into central Europe. Austria as such had become just a name for the history books – it was as much a part of Nazidom as Berlin. Hysteria swept Austrian Jewry. Hundreds sought to flee the country without much success. Many were arrested. Anti-Semitic terror became a chilling undertone in the ecstasy of Vienna’s welcome for the Austro-German Fuehrer. France sought an understanding with Britain to tolerate no further Nazi expansion. Yeggmen who were surprised while at work on the safe of the Spencer Beverage, Inc. of Washington Street, Jamestown, were being sought by authorities of several states as local police continued an exhaustive probe of a number of clues which might establish their identities. Henry O’Block of Fluvanna Avenue, employee of the beverage company, walked in on the safecrackers just as they had completed hammering the combination from the door of the safe. O’Block saw only one of the gunmen but that was sufficient to stop him dead in his tracks. The gunmen dashed out the Twelfth Street entrance by which O’Block had entered. In 1963, a half-million pounds of steel was scheduled to be unloaded in Jamestown about March 25 to start construction of framework for the $2 million Washington Street Bridge. The first steel delivery, from Cleveland, was expected to arrive here late the following week on Erie-Lackawanna Railroad flatcars. Erection of steel framework for the span across the Chadakoin River would take about six weeks, according to Tom McKenna, project engineer for the contractors, William Higgins & Sons of Buffalo. Completion date for the project would depend on the whims of the weather during the spring and summer. Oil – liquid black gold – had been struck by two area men who, despite the frigid blustery weather, had kept a drilling rig in operation on the Clare Curtis property, Busti-Sugar Grove Road. Joe Evinczik of Busti and Carl Johnson of Sugar Grove, Pa., who leased the Curtis land, began drilling about the first of the year in hopes of finding the precious fluid. After drilling to a depth of about 517 feet, they hired the services of Dowell, a division of the Dow Chemical Company, to “fracture” the well. The fracturing was completed two days ago with mammoth equipment which included two trucks assembled with airplane motors. These were used to create the pressure to open the ground. In 1988, the scriptwriters’ strike was having an effect on television programming. In the current Post-Journal television guide, a large photograph heralded the premiere of the CBS series “The Dictator,” starring Christopher Lloyd. But the premiere had been delayed by the strike, and CBS was instead bringing back “My Sister Sam” in that time slot. Viewers were warned that other switches were possible. It came as a small but meaningful reward to Peggy Say that the people in her hometown were rallying behind her call to remember the hostages in Lebanon. There were many times when it seemed people didn’t want to hear about how her brother, journalist Terry Anderson, was still being held. There had been stinging criticism that maybe she was somehow to blame for his prolonged captivity. It was now different. Her brother’s defiant expression was seen on posters in the stores and restaurants of the rural upstate town of Batavia, 40 miles east of Buffalo. The posters said: “Remember Terry Anderson on the anniversary of his captivity, March 16, 1988. Please wear a yellow ribbon and pray for the hostages in Lebanon.” Anderson was entering his fourth year of captivity. In 1913, Superintendent Clayton O. Johnson of the municipal light plant in Jamestown would, at the monthly meeting of the lighting commission, call the attention of the commissioners to the needed improvements at the plant and the subject would no doubt be carefully considered. One of the most important matters for consideration was the desirability of purchasing a new steam turbine for use in emergency and perhaps to supplement the work of the machinery currently in use. Johnson would recommend the purchase of a machine which would more than double the present capacity of the machinery and which would cost approximately $20,000. Announcement of the fact that the Johnson Ice and Coal Company’s office had been burglarized some time ago apparently did not frighten the burglar or burglars doing business in Jamestown for exactly nine days later the home of George Welshofer, 342 Crossman St., was entered and well ransacked and striped of portable valuables. No mention was made of the circumstance at the time in the newspapers because of the usual police theory that the burglars would not know anything about the burglary unless they read it in the newspapers. In 1938, the Jamestown High School a cappella choir had received and excepted an invitation to sing over a nationwide hookup of the National Broadcasting Company on March 31 from St. Louis, Mo. The invitation was extended by the Chicago office of the company in a telegram to Ebba H. Goranson, director of the choir. The broadcast was scheduled for the 15-minute period from 11:30-11:45 a.m. The choir was New York state’s entry in the national choral contest being held in that city, March 30-April 1. The group was state champions in class A having won the title in the statewide competition at Elmira the past year. The choir and the high school orchestra were presenting a benefit concert in the high school auditorium March 22 to raise funds to send the choristers to the national affair. It was expected that fully 1,600 boys and girls representing every state in the U. S. would take part in the contest. A criminal summons charging the Berkey Chair Company with issuing a fraudulent check in an amount slightly more than $28 was served on Don W. Price, 47 McDaniel Ave., general manager and vice president of the corporation. The case was unusual in that it involved the arrest of a corporation for an alleged criminal offense, probably the first time that such an arrest had been made in Jamestown. Unlike an individual defendant in a criminal action, who was arraigned immediately or on the day following his or her arrest, a corporation charged with a crime was given five days in which to answer the summons. In this instance the Berkey Chair Company was summoned to appear before City Judge Allen E. Barger the following Wednesday morning. In 1963, an extensive quantity of new Kling Factories bedroom furniture was damaged when a 50-by-50-foot warehouse collapsed under weight of snow. No one was injured. The warehouse, a former bakery at the rear of the old theater building in the heart of Mayville, collapsed at 8:30 a.m. under the weight of heavy snow and the overnight downpour of rain. Three cement block walls of the building collapsed as the roof came down with a roar. Doors and windows of the remaining portion of the building were blown out by the force of the collapse. The building was being used by Kling to store finished furniture. It was hoped some of the furniture could be salvaged by removing the roof of the building, a portion of which was resting on the furniture, stored in boxes in the building. President Kennedy said the economy would face “downturn and disaster” if Congress rejected proposed tax cuts, slashed the budget and put a tight lid on the national debt. In a significant attempt to broaden current debate over economic policy, Kennedy argued that tax cuts alone could not insure the success of his ideas for juicing up the economy. He said it also was important to avoid “an unrealistic debt ceiling or budget cut.” Wrong decisions in those three policy areas would, he said, “spell downturn and disaster for the American economy as a whole.” Kennedy said wrong decisions on all three points were made in 1957-60 by “a Republican administration and a Democratic Congress.” As a result, he contended, the nation had been paying a high price ever since by slogging along with a below-par economy. In 1913, momentary forgetfulness of his surroundings may have possibly cost Fred L. Anderson, a fireman on the Chautauqua division of the P.R.R., his life. He left Oil City on No. 61, the fast express running between Pittsburgh and Buffalo and when the train neared Hydetown, forgetting that the “mail snatcher,” an iron post to which the sack of mail was suspended, was near his side of the engine, he looked out to take his bearings and see if everything was clear along the platform. His head came into contact with the post. He was thrown back into the arms of his engineer, C.G. Morton. A passing freight train took Anderson to Titusville hospital. Anderson was 28 years of age, was single and his home was in Brocton. His mother had arrived and spent the night with him. It was feared he would not recover. The Fire Brigade of Plant No. 1 of the Art Metal Construction Company, Jones & Gifford Avenue, Jamestown, had a fire drill as an imaginary alarm was turned in from one of the buildings of the big plant. The men got several streams on within less than a minute after the alarm was sounded. They then returned to their work and in less than a half-hour there was a fire and a real alarm was turned in, giving the brigade an opportunity to demonstrate its ability to cope with an emergency. To their credit, the men turned out just as promptly as they did for the drill, proving beyond any doubt that the brigade was ready for duty at any instant. The fire they attended did not amount to much, being confined to some oily waste in which it started. In 1938, Girl Scouts from Jamestown and all parts of southern Chautauqua County, numbering about 700, filled the Washington Junior High School auditorium Friday evening at a birthday party in celebration of the 26th anniversary of the beginning of Girl Scouting in this country. In spite of slippery roads, Girl Scouts came from as far away as Findley Lake, Clymer and Mayville. Each troop responded to roll call with a cheer or song. At the close of the affair, candy was served. Mrs. Gertrude P. Herald of Isabella Avenue, widow of the late Mark L. Herald, had filed a $50,000 claim against the city as a result of the accident at the Arcade building Feb. 15 which resulted in the death of her husband. The complaint accompanying the claim alleged the city of Jamestown was negligent in maintaining the Arcade building in a dangerous condition. The city acquired the property some time ago for non payment of taxes. It was the claim of Mrs. Herald that about 8 o’clock on Feb. 15, her husband was lawfully within the premises of the Arcade building and while upon the second floor fell into an unguarded and unprotected elevator shaft formerly used as a freight elevator. It was claimed that the premises were dark at the point where the fall occurred and that no guard or warning of the presence of the shaft had been erected or maintained, that the shaft was dangerous and unsafe and that her husband fell into the shaft and to the basement of the building. In 1963, classic Grecian charm, cascading water fountains and statues, marked the smartly styled Dorian Salon at 308 N. Main St. Jamestown, which had its official opening March 7. Samuel Paladino had brought together the splendor of beauty from several parts of the world to compile an aura of elegance for his new beauty headquarters. Gold and white were the predominating colors with a flair of aquamarine in striking contrast to the rough texture of background wood. Dramatizing the entrance to the salon were a ceiling high fountain with the water playing over a stone wall and a gold and white statue from Italy of Hebes, the Greek goddess of youth. Two automobiles, reported stolen in Jamestown the past Friday were recovered by their owners Monday evening after being found abandoned on city streets. A late-model car belonging to Donald Anderson, 30 Vega St., taken while parked on Liberty Street, was located by a friend of Mr. Anderson, who lived on Sturges Street. He recognized a car parked on the wrong side of the street near his home as the missing vehicle. The other car, taken while parked near the home of its owner, Theodore Vollersten, 411 Lincoln St., was located by Patrolman Edward Ohmah abandoned on Weeks Street near Clyde Avenue. In 1988, Kazusasa Tada from Osaka, Japan had come back to Jamestown after 22 years. Kaz had been an AFS student at Jamestown High in 1965-66. He lived that year with the John Peterson family on Park Street. He and his wife, Hisayo, decided to visit Jamestown on their way home to Osaka from a trip to the Caribbean. Kaz and Hisayo were taken on a tour of Jamestown and around Chautauqua Lake. Kaz thought the bridge over the lake was awesome and the lake, even though covered with ice and snow, was very beautiful. When he was living here he disliked the snow; this time he kept commenting on its beauty. The Petersons also took their visitors to an Amish farm where Hisayo purchased a beautiful quilt. “Women and Rebirth,” an exhibit of oil paintings and ceramic sculptures by Nicolette Azicri of Erie, would be on display in the art gallery of Jamestown’s Prendergast Library from March 18 to April 29. The artist worked with themes of reincarnation and women’s issues. In the women’s series, the artist portrayed the idea that women were not against men but simply wanted an equal place in society. In 1913, the Adelphian society of the Unitarian Church in Jamestown entertained about 35 couples at a dancing party in Garage Hall on Monday evening. The hall was prettily decorated in the national colors and flags were used in profusion with bunting and crepe paper. A.C. Bratt’s orchestra furnished an excellent program of dance music beginning at 9 o’clock and continuing until 1 in the morning. Refreshments consisting of punch and wafers were served during the evening. One of the first of the Wagner-Smith factory investigation commission bills, Assemblyman Edward D. Jackson’s measure, prohibiting night work for women, passed the senate in Albany the previous night and would next go to the governor. During its investigation the Wagner-Smith commission was responsible for revelations which showed in some cases women worked all night while their husbands remained home and looked after the children. The Jackson bill provided that no woman should be employed or permitted to work in any factory in this state before 6 o’clock a.m. or after 10 p.m. of any day. Lengthy investigation into a nitroglycerin explosion which killed two men and demolished the Eastern Producers Glycerin plant near Bradford, Pa., had failed to throw any light on the cause of the disaster. Dead were Dan H. McQueeney, president of the company and Ralph Mong, shooter for the firm. The blast, which left little of the single story frame factory intact, could have been caused in “one of a hundred different ways,” stated Deputy Coroner George Lull. Between 600 and 800 quarts of prepared explosive probably were in the plant at the time, it was estimated. It was believed nobody else was near the site at the time of the blast. It was believed the men were in the ?making? room of the plant as they had intended to make four runs of more than 250 quarts each of explosive. Mystery continued to shroud the 18-hour disappearance of a boy who was found at the home of an 87-year-old neighbor in Olean. Approximately 500 persons took part in the hunt for the youngster. Five-year-old John Anderson Jr., walked down the stairs from the second floor of the home of Mrs. John Murphy while her daughter-in-law was talking to her. He had not been mistreated. The boy’s father said he thought his son had been “lured into Mrs. Murphy’s home.” and was “locked in a room while the search was taking place.” The boy had gone to play in the snow Friday after he returned from his morning kindergarten class. His mother reported him missing four hours later. Gov. Mario Cuomo repeated his pledge not to run for president and called on Democratic candidates to support the man who would take the most delegates into the convention. “Whoever it is, make him the candidate,” Cuomo said. “If Mike Dukakis has 41 percent, get everybody together in a room and say, “Jesse, Gore, Gephardt, you came close, but Mike’s the candidate.” Why is 51 percent the magic number? Let’s pick the guy who’s ahead after California,” Cuomo said at a news conference in his Manhattan office. In 1913, Earl H. Hill was once more in control of the Hill Piano School and the piano warehouse and rooms on the top floor of the Abrahamson-Bigelow building. He made good his promise to purchase the personal property and considerable other property belonging to the old Hill Piano Company. Some of the sheet music he said he would take but he did not care to take the pianos at the appraised valuation. The lease of the rooms, while of great value to Hill if he intended to continue his piano school, was of less value to any other person. Hill spent $5,000 in fitting up the rooms for the piano school and piano warerooms. The school room was decorated at an expense of over $1,000. There were signs which cost substantial sums of money that would of course be valueless to any person other than Mr. Hill. The most disastrous fire in the history of Union City, Pa., Saturday night totally wiped out the plant of the Shreve Chair Company. All that was standing of what was the largest wood seat chair plant in the world, with a capacity of 6,000 chairs daily, was the heavy cement block walled storage warehouse built a year ago, about 150 feet west of the main building. The loss was estimated at $400,000 with insurance in 25 companies of nearly $200,000. More than 300 men were thrown out of employment. Crossed electric wires, it was believed, caused the fire. The Erie Railroad Co., with the main line between New York and Chicago, running on a high embankment about 30 feet from the building, had all telegraph and telephone lines destroyed and the ties in the roadbed damaged. The Union Mutual Telephone Co. had through lines between Erie and Corry burned out. Bell lines asked aid of the Erie fire department but the fire burned so rapidly that no hope of saving the factory was entertained after the first hour. In 1938, with large throngs lining the streets for the excitement, the Jamestown Automobile Dealers’ Association staged a thrilling demonstration of the danger presented by defective automotive equipment at West Third and Cherry streets the previous evening during the parade of wrecked autos, featuring the local observance of National Used Car Exchange week. The fake accident at the busy downtown corner was the high spot of the program marking the efforts of Jamestown dealers and manufacturers to cooperate in the nationwide program to stimulate business. Headed by the American Legion fife, drum and bugle corps, the old automobiles were lined up on West Third Street and proceeded east on Third Street to Cherry where the well-planned collision was staged. Tow trucks, decorated with flaming red flares, then swung out of line, picked up the damaged machines and towed then to a gully adjacent to the Rosen Wrecking Company to be burned. In 1988, nine little Border Collie pups, huddled close to their mother at the Falconer SPCA, would be ready for a new home in three weeks. The mother, who had already been spoken for, had many fooled for awhile when the dog catcher thought she was a male. As she got bigger, though, it was soon discovered she was just the opposite. A two-story storage barn was extensively damaged in a blaze that occurred at 675 Fairmount Ave. the previous evening. According to Celoron Fire Chief Ron Hasson: “When we got to the scene the fire was raging and severe damage was already done. No one was injured.” The cause of the blaze was still under investigation by the Chautauqua County Fire Investigation Team and no estimate on dollar damage had been reported. The barn was owned by Carl Vullo and Don Gaeta. In 1913, Ralph Butler, employed on track construction work on the Erie Railroad, was killed in a fight in a boxcar at Redhouse about three miles from Salamanca. Butler was beaten over the head with a shovel by Edward Nelson, another workman. Sam Smith, who claimed to have seen the fight, also charged Nelson with the crime. According to Smith’s story, he was sick and Butler offered to make some lemonade for him. Butler was busy with the preparations when Nelson came forward and tried to take the lemonade from him. In the fight which followed, Nelson beat Butler over the head with the shovel, Smith alleged. Nelson was arrested at Seneca Junction. The prisoner admitted that he quarreled with Butler but he denied using the shovel on him. A double-headed freight train crashed into the rear of another freight train standing in the Pennsylvania yards at Mayville several evenings ago, smashing the caboose to kindling wood and scalding E.W. Johnson, an engineer, who resided in Oil City. The accident occurred a few yards beyond the station near the overhead crossing of the Chautauqua Traction Company. The head locomotive of the double-header rolled over on its side and the wreckage caught fire. The Mayville Fire Department was called to extinguish the blaze but only a few firemen reached the place. The wreckage smoldered all night. A wrecking crew came from Corry and cleared the tracks. In 1938, “I’m not lost and I don’t look like Dorothy Lamour,” said a dark-haired girl of 19 as she walked into a Buffalo police station. “I am Marian Rettig of Conewango Valley and all this fuss my father has been making about hunting for his lost daughter is silly. I have written twice a week to my mother since I came to Buffalo and found work several weeks ago but she doesn’t live with my father, so of course, he wouldn’t know.” The previous day her father, Robert B. Rettig came to Buffalo and reported to the police that his daughter was missing. He carried a newspaper picture of Dorothy Lamour and told police his daughter looked like the picture. He had also visited a number of boarding houses in Buffalo in his search. Mrs. Cora Feldt, about 45 years old, was seriously injured in the afternoon when she fell on a buzzsaw at her home near Blockville. Meager details reveled that her arm was badly cut and an ambulance was bringing the injured woman to a Jamestown hospital. A telephone call to the Feldt home was answered by Miss Shirley Feldt, daughter of the injured woman, who was alone with her mother at the time. The girl was nearly hysterical and could give no details of the accident. In 1963, 20 persons, the majority of them bedridden, were evacuated without incident from Hillside Nursing Home, 348 Foote Ave., Jamestown, early this day after the building was set on fire by an overheated clothes dryer. Thirteen of the patients were removed to Jamestown General Hospital where they were handled in accordance with a prearranged disaster plan. Due to the large number of persons in the hospital at the time of the blaze, it was necessary to place all but one of the unexpected arrivals in hallways. The remaining seven patients were taken to WCA Hospital. When firemen arrived, the dryer and the basement ceiling were in flames and flames also had broken through the partition on the first floor. Fire stops prevented the blaze from extending to the second floor. In 1988, members of Chautauqua County Legislature were to vote on a proposal backed by two legislative committees to put American Locker Group of Jamestown into a building at the county airport. The resolution called for granting the company a lease/purchase option on the old Duramold hanger being used to house about 20 small airplanes after Bush Industries stopped using it as a warehouse in February. The new computer system purchased by the Warren County commissioners was expected to speed up countywide revaluation of real estate holdings. Mark Silbert, the county’s chief tax assessor, said the computer package was just what his tax assessment office staff needed to enter the information collected on all 26,000 properties and compare them with real estate sales to arrive at new property valuations. Silbert said the system would enable his office to have 1989 tax bills prepared and mailed on time by July. In 1913, investigations were under way this day to ascertain the cause and fix the blame for the disastrous explosion of more than 300 tons of dynamite in the hold of the British tramp steamer Alum Chine, lying at anchor in the lower harbor of Baltimore, which killed more than 40 persons and seriously injured 60 more and caused property loss of more than $250,000. Immediately after the accident the federal authorities at Washington were apprised of the serious damage to the new collier, Jason, which was near the anchorage of the ill-fated Alum Chine. Word had been received that the Department of the Navy would inquire into the disaster. One of the best and most profitable meetings in the history of the Schoolmasters’ Club of Western New York was held in the Hotel Samuels, Jamestown, Friday evening. Many prominent educators from surrounding towns and cities were present and enjoyed an evening of good fellowship and discussion. At the close of the banquet, which was served in a manner most acceptable to the school men, the president of the club, Prin. George R. Raynor of Falconer, introduced Prof. George M. Forbes of the University of Rochester, who delivered an illuminating and thought-compelling address on The Education of the Will. In 1938, more than 22,000 women and children employed in laundries came under a New York state provision intended to provide them with a minimum guaranteed weekly wage. Industrial Commissioner Elmer F. Andrews announced a directory order determining minimum rates of pay for 20,000 employees of power laundries and 2,200 in-hand laundries after March 14. Some laundries in the metropolitan area had increased prices from 10 to 15 percent but their operators said the increases were due to higher operating costs rather than the minimum wage order. President Roosevelt had announced approval of a $131,464 WPA allocation for removal of street car rails and the resurfacing of several miles of Jamestown streets from which rails were to be removed. Local city officials expressed delight at the speed with which the rail removal and street resurfacing project had received federal approval. Next to the North Main Street extension airport project, it would be the largest single WPA job yet undertaken here. The arrival of dependable weather and formal receipt of the federal allocation were all that stood in the way of opening the rail removing and street resurfacing job, said Director of Public Works Leland L. Graham. In 1963, a sheriff’s deputy escaped injury the previous day when the police cruiser he was driving skidded into the accident he was on his way to investigate. Deputy Lee Kellogg was dispatched to the scene of a car-truck accident in the village of Clymer. Because of icy road conditions, the officer’s car skidded against the truck, causing only slight damage. The two vehicles originally involved in the accident were driven by Wilfred L. Damcott, 36, of Clymer and Ronny E. Doncavage, 22, of Sherman. They collided as Doncavage was making a left turn into a driveway with his car. Preparation of a special exhibit for use in Jamestown’s fight to prevent the loss of local service by Mohawk Airlines was in its final stages, Theodore A. Peck, chairman of the City Airport Commission, announced. The exhibit, which consisted of approximately 60 pages of information, statistical data and charts on why Mohawk should continue to serve Jamestown, was put in final form by the city’s special airport counsel and consultant and Peck during a six-hour session in Washington on March 6. The village of Little Valley’s plans for a new skating rink and recreational center didn’t “slide” by state Park and Recreation officials. During a Little Valley Village Board meeting, Michael Kelley, Allegany Parks Regional Project specialist, told the mayor and trustees that the blueprints did not meet state specifications and could not be endorsed by an engineer. In 1913, an explosion of dynamite, far reaching and disastrous in its results, occurred in the harbor of Baltimore when 300 tons of the explosive, being loaded on board the British steamer Alum Chine, blew up. The known dead numbered seven men. Of these, four belonged to the Alum Chine and three were on board the United States naval collier Jason. Twenty-nine other men on the collier and the greater part of the crew of the Alum Chine were injured. The explosion was remarkable for the great distance the shock of the blast was felt. The shock was felt at the Philadelphia navy yard and at Reading Pa., nearly 100 miles from Baltimore. Miss Hazel Hurlbut entertained 12 young ladies at her home on Fairmount Avenue in Jamestown Thursday evening in honor of the birthday of Miss Thetis Cobb. The party was a St. Patrick’s celebration and the decorations were in keeping. The evening was spent in telling Irish stories and in St. Patrick’s Day games. Late in the evening a two-course luncheon was served by the hostess for which the decorations were also in green and white, the place cards being shamrocks and the favors small Irish flags. Cobb received many beautiful gifts. In 1938, an impressive ceremony marked the rededication of the pipe organ at the First Baptist Church in Jamestown at the morning service Sunday, the gift of Fred J. Galloway in memory of his sister, Grace Galloway. The church was filled to its capacity for the service, conducted by the pastor, Rev Roland O. Hudson, who offered the dedicatory prayer. The instrument had been entirely rebuilt, the church having been without an organ since November. The organ was heard for the first time with Howard Zettervall at the console. Ashville’s only triplets, Mildred, Mary and Mable Lanning, whose parents were Mr. and Mrs. Fred Lanning of Ashville, would observe their eighth birthday anniversary the following day. The sisters were born on March 8, 1930, at Ashville. In the best of health, the girls had attended the Ashville Union Free School regularly during the past year, according to Mrs. Clarence Johnson, teacher at the school. Their older sister, Elizabeth, a member of the fourth grade, who recently returned from a visit with her aunt to Ohio, traveled to school in company with her triplet sisters who were members of the advanced first grade class. In 1963, renewed snowfall and high winds began buffeting the area at midmorning in the wake of a storm which a veteran area fire chief described as “the worst I’ve ever experienced.” While only three area schools were closed, bus drivers experienced difficulty in making their runs in the afternoon and many schools planned to close early this day to avoid having their bus runs continue into the late afternoon or early evening hours. Motorists were stranded in hood-high snowdrifts throughout the area during the night and law enforcement officials reported scores of property damage automobile accidents during the storm. Jamestown Mayor William D. Whitehead declared himself “firmly opposed” to any return to partisan politics in Jamestown. A public referendum had been set for April 30. One of his major objections to partisan elections, contained in a statement to The Post-Journal, centered on recent petitions for public referendums. He charged that “flagrant violations of the people’s rights” had occurred in connection with referendum petitions on fluoridation of water and partisan elections. In 1988, area residents and tourists driving around Chautauqua Lake during the coming summer might feel that they had been transported back in time as they looked across its placid waters. Scheduled to be sailing there was a replica of a 16th-century merchantman, approximately identical in size to the “Nina” and the “Pinta” that were support ships in Christopher Columbus’ little fleet during his voyage of discovery. The vessel was the “Sea Lion,” built to the specifications and with the similar tools that would have been used had it been constructed in the age it represented. The craft failed to unfurl its sails in 1987 due to financial problems but things looked brighter this time around thanks to the generosity of some area foundations. The craft was scheduled to sail the waters of Chautauqua Lake this summer, carrying passengers. Work to demolish the burned-out remains of the sprawling, former Watson Manufacturing buildings on Harrison Street in Jamestown would begin during this week and should be completed by May 19. Mayor Steven B. Carlson announced the start of the demolition work on the facilities, which were recently acquired by the Jamestown Urban Renewal Agency. The agency had agreed to pay $162,400 to VLF Enterprises Ltd. of Niagara Falls for demolition work, leaving about 1acres at the Watson site. In 1913, ever since the apple show held at the Pomona Grange in Mayville the past December, the apple men of Chautauqua County had been planning to effect a county organization. An announcement was being made that a meeting for that purpose was to be held at the Jamestown Business College auditorium on Tuesday, March 18. The meeting had been called by a number of prominent apple growers, acting through the farm bureau. Interest in the project had been manifested from many sections of the county and there was every prospect that a strong organization would be formed. The activities of the organization would probably include the spreading of standard information on the care and management of orchards and the handling and marketing of fruit, especially as governed by local conditions. Mrs. J. J. Servoss suffered a very unusual and, as it proved, very serious accident Monday morning as she boarded the Warren-Jamestown trolley car at Russell, going to Warren. The accident happened when the car started suddenly just as she was stepping into the first car. The jolt threw her against the seat, hurting her severely. She was able to get out at Warren and went to the Warren County Savings Bank. Upon coming out of the bank, just as she stepped to the sidewalk, the knee joint gave way entirely and she fell face down, breaking her glasses and otherwise bruising herself. Servoss was taken into a store nearby where the dislocation was reduced and she was later brought to her home. In 1938, officers of Fort Niagara faced a serious soldier housing problem as a result of the fire which destroyed one of four barracks buildings at Fort Niagara two days previously. Maj. Stuart R. Carswell said the 200 infantrymen who were left without quarters spent the night in the gymnasium. The fort, designed to accommodate only 400 men, already was crowded before the fire with 640 soldiers and 185 Civilian Conservation Corps men. Maj. Carswell said that U.S. Rep. Walter G. Andrews of Buffalo was planning to introduce a bill in Congress to have the burned barracks rebuilt. State troopers were in Lakewood Wednesday investigating the burglarizing of a summer cottage. A passerby noticed a broken window pane and reported it to Chief Max Ehmke who investigated. He found the place had been ransacked and the contents of desk and dresser drawers dumped on the floor. The troopers went to the school and called out several boys for examination. Four were held and later confessed. They were brought before Judge Edward Bootey, who placed them on probation to Chief Ehmke. The names of the boys were being withheld. In 1963, the wreckage of a light plane with four Grand Ole Opry personalities aboard was found about five miles west of the Tennessee River in west Tennessee. Sheriff Loye Furr said there were no survivors. Aboard were singers Patsy Cline, Hawkshaw Hawkins and Cowboy Copas and the pilot, Randy Hughes, who was Cline’s manager and a son-in-law of Copas. The single-engine plane was returning the recording artists to Nashville after a benefit performance at Kansas City, Kansas. It stopped at Dyersburg, near Memphis, early Tuesday night to refuel. Hughes telephoned his wife in Nashville to say they would be home soon. The plane never arrived. A 5-year-old boy, Steven Martin, 23 Peach St., Jamestown, was reported in satisfactory condition at WCA Hospital with injuries received when he was struck by an automobile the previous afternoon at the corner of Falconer and Bowen streets. The child, son of Mr. and Mrs. Duane Martin, received several abrasions on the face and forehead and complained of pains in his back. The accident was investigated by Patrolman Cyril Brentley of the Traffic Bureau. The boy, carrying a bottle of milk, darted into the path of the car while attempting to cross the intersection. A large pile of snow at the corner prevented the driver from seeing the child in time to avoid hitting him. The boy escaped possible serious injury when the milk bottle which he was carrying was tossed safely aside by the impact. In 1913, one of the most important changes among the manufacturing establishments of this community in a long time was the purchase of the factory of the Lynndon Worsted Mills at Falconer Junction by James Simpson of Falconer and F.P. Hue of Warren, Pa. They had just taken possession and had not yet decided whether to continue the business under the old name or adopt a new one. The concern was engaged in the manufacture of worsted yarns and employed about 75 hands. The factory was located on South Work Street, fronting on the Erie railroad and was a substantial brick structure, well adapted to the business for which it was used. Inasmuch as some 200 veterans of the Civil War from Jamestown, many of them accompanied by their wives, were going to Gettysburg, Pa., for the semi-centenary celebration July 1-4, the following information was issued by Gen. Horatio C. King, chairman of the New York commission for the Battlefields of Gettysburg and Chattanooga. Congress was to limit the attendance to 40,000 Union and Confederate veterans from all the states, as the officials of the railroads entering Gettysburg had decided that they could not provide transportation for a greater number. The average maximum age at which New York state employers would hire new workers was 35 according to results of a survey announced in Buffalo this day by the New York state League of Economics. Secretary Helen Smith of the league, giving the results of the survey at a meeting of the league’s executive council, said the figures were the result of interviews with 403 employers in New York city, Yonkers, Albany, Schenectedy, Troy, Utica, Syracuse, Rochester, Buffalo, Jamestown, Elmira and Binghamton. In 1963, damage to Jamestown buildings from ice and snow over the winter was expected to be the heaviest in history, costing hundred of thousands of dollars, roofing companies reported. Huge chunks of ice crashed to the ground the previous evening from the roof of the home of Mrs. Lucile Wright, 25 Liberty St., damaging a front porch and smashing shrubbery around the home. “I thought the house was falling down when those pieces of ice came crashing down,” Mrs. Wright said. Officials of Lakewood, Falconer and Bemus Point would make a house to house survey to learn what sort of bus improvements were desired to bolster sagging revenue of the Jamestown lines in suburban communities. The previous day, the Municipal Transit Commission met with officials from the three communities to study the situation and possible solutions. Mayor Nels Carlson, Lakewood, said he had received several calls and communications expressing a desire for later evening bus service, resumption of Sunday service and a cut in fares. In 1988, Britain’s Prince Charles, preparing to chair a meeting of American and British architects studying urban redevelopment, visited aging steel mill towns and offered encouragement for better times ahead. The Prince of Wales met with about 50 architects, urban planners and community leaders in Pittsburgh and was briefed on a proposal to rejuvenate the Monongahela River Valley near the city. “What concerns me, did you actually talk to the people in the area? … Have you actually identified what to do with the steel mills?” the prince asked. In “This Is Our Story,” Welch’s related its history as beginning with Dr. Thomas Bramwell Welch, the company’s founder. It stated that not only was he the first to make grape juice more than 110 years ago but by doing so developed the fruit juice industry as it was now known. In 1869, Welch, a New Jersey dentist, determined that the theories of Pasteur could be applied to grape processing to produce an unfermented wine. His experiment involved about 40 pounds of Concord grapes grown in the family’s yard, with the juice strained into 12 quart bottles which were sealed with cork and wax before immersion into boiling water to kill yeast organisms in the juice and to prevent fermentation. When Welch opened the bottles some weeks later, he found a sweet, unfermented grape juice. And so was born an industry. In 1913, four men perished in a fire that destroyed a wood camp at Mayburg, Forest County, Pa., near Bradford. Anton Smyrdel, Jake Meler, Tony Zartell and Frank Zartell, Austrian woodcutters, were the victims. Several months ago the camp was opened for the accommodation of woodchoppers employed by the Tionesta Valley Chemical Company. The building was a frame structure and was occupied by the Shuster family and 40 boarders. The inmates of the camp were awakened by the fire and a scene of wild confusion ensued. They resorted to different means of egress from the building and all but four succeeded in getting out. Mrs. Shuster was painfully burned in rescuing her seven-day-old infant. The child was saved. Horne’s Stock Company the previous night opened the week at the Lyric Theater in Jamestown in Marie Corelli’s well-known play, “Thelma.” Strict attention had been paid to detail and followed the lines of the story and the novel. This dramatization was interesting. A large crowd attended the performance. Almost every book lover was familiar with the widely-read romance and rejoiced to learn that the Horne Players had prepared a most elaborate production. In 1938, National Used Car Exchange Week was to be observed in Jamestown starting on Saturday. Junked cars were to be paraded and then set afire. Plans for the opening were completed at a meeting of the Jamestown Automobile Dealers’ Association the previous evening. The committee was in charge of a parade of wrecking trucks and junked machines, the latter to be burned at the Rosen Company plant on Fluvanna Avenue. Jamestown Mayor Harry C. Erickson promised the city’s cooperation in this plan of the automotive industry to lift itself out of the present business recession by stimulating used car sales and thus make way for a resumption of new car manufacturing and selling on a normal scale. George Hamil of Brockport received a fractured right clavicle and lacerations over the right eye as a result of his car skidding into a truck on the Westfield hill. Horace Muesbeck, also of Brockport, a passenger with Mr. Hamil, received lacerations of the face and hands. Mr. Hamil was taken to the W.C.A. Hospital in Jamestown after first aid had been administered by Dr. Guy Granger. The men had been driving toward Westfield and skidded into the rear end of a truck driven by Miles Muick of Erie. Hamil’s car, a new 1938 heavy model sedan, was so badly crushed that crowbars were necessary to pry open the doors to release the injured men. In 1963, the New York Legislature’s Republican leaders cranked up for a last-ditch effort to salvage a portion of Gov. Rockefeller’s license-increase plan as a face-saving device for Rockefeller. The governor’s proposal for a $48-million boost in motor vehicle registration appeared to be dead. Informed sources reported, however, that Assembly Speaker Joseph F. Carlino and Senate Majority Leader Walter J. Mahoney hoped to obtain agreement for an increase of at least $24 million in liquor-license fees. It was understood that the Republican governor still harbored some hope that the rebellious Legislature would relent and vote a portion of the motor vehicle increase as well. About 115 union workers of the Fibre Forming Corp. in Olean were expected to return to work this day without pay. The employees, members of Local 22, American Federation of Grain Millers, had worked the past two weeks without pay. They decided to continue working even though prospects of getting paid soon remained dim. The company was attempting to improve its financial status and customers and suppliers were being “most cooperative,” Charles Nolan, president, said. The company manufactured plastic fibre forms for luggage and the television industry among other items and had enough orders to keep three shifts going. In 1988, humanitarian aid to the Contra rebels in Nicaragua was shot down in the House of Representatives with votes from both area congressmen being a resounding no. U.S. Representatives Amory Houghton Jr., R-Corning, and William F. Clinger Jr., R-Warren, voted no to both packages that came to a vote. The first vote was on the Democratic Party proposal for humanitarian aid that had an initial approval vote of 215-210. Final passage of that bill was defeated by a vote of 216-208. That kept the Republican proposal from coming to a vote. The difference in the bills was that the GOP plan called for about $6 million more in aid, with the funds being distributed through the CIA. Jamestown Postmaster Ronald E. Atkinson admitted getting a little better insight into what his carriers had to deal with on their daily rounds in the city. Atkinson said, “I was tired yesterday. It was a lot tougher than I anticipated. There was a lot of ice still on the sidewalks and some of the steps were not in the condition you want your carriers on.” The postmaster was one of three supervisory employees who delivered routes in fulfillment of an agreement that this would be done if the carriers on the 37 such routes had an accident-free 1987. In 1913, the interest which had developed among kindhearted people willing and even anxious to provide a home for the foundling left a week ago on the steps of the Guy D. Catlin home on English Street, had caused Miss Amy Pryor Tapping, the county agent for dependent children, to ask The Journal to print the stories of several other little ones for whom she was anxious to find homes. None of the little ones could claim credit for being brought to public attention in quite as sensational a manner as the child left at the Catlin home, but all were very attractive children and all deserved equally good homes as this little one would get with the Catlin family which had finally decided to adopt the child. In a basketball game in which there was very little basketball and an unusually large amount of roughhousing, the Myob Athletic Club team of Jamestown met defeat at the hands of the Chamberlain Military Institute five at Randolph Saturday evening by the score of 27-14. The locals were sadly handicapped by the peculiar arrangements of the baskets, which made it impossible to bank the ball into the nets, it being necessary to shoot each basket clean. Girard, the center of the military lads proved a star at this mode of shooting and caged nine goals from the field. In 1938, it was indicated that the Senate would confirm the nomination of Robert H. Jackson of Jamestown as solicitor general of the United States this day by an overwhelming majority. Sen. Warren Austin, Vermont Republican, was expected to continue the attack he started the previous day in a 40-minute speech and Sen. William H. King, Utah Democrat, might follow with an attack upon Jackson’s attitude toward big business and monopoly. While her husband’s nomination was being debated in the Senate, Mrs. Jackson sat in the gallery, an interested listener, dressed in black. Benjamin Simeon Dean, a nationally known authority on the constitution of the United States, constitutional lawyer, writer and former newspaper publisher, died at the WCA Hospital the previous afternoon at 4 p.m. at the age of 77 years. Death resulted from a fall at his home on East Eighth Street four days ago in which he sustained a fracture of the right hip. Up to the time of the accident, he had attended to his practice although in failing health for many months. Dean was a native of the town of Randolph where his birth occurred May 10, 1860. Dean had always taken an active part in public affairs of Jamestown and was keenly interested in political affairs. In 1988, a community college president who spent nearly two weeks in Nicaragua in January said the biggest problem that country faced was its poor economy. And, on the eve of a vote in Congress on whether to send humanitarian aid to the Contra rebels in Nicaragua, Donald Hangen, president of Corning Community College and one of eight college presidents who accompanied U.S. Rep. Amory Houghton Jr., R-Corning, to Nicaragua, said regardless of whether aid was sent, it was not going to do much to end the war or solve that nation’s problems. “A vote for aid or not for aid is not going to make that war go away,” Hangen said. By the end of March, Jamestown should have the final decision on a proposed $3.6 million mental health complex at Jamestown General Hospital and a competing psychiatric and alcohol rehabilitation project at WCA Hospital. But in the meantime, the hospitals wouldn’t be allowed to appeal a local health planning agency’s recommendation which rejected Jamestown General’s plan to build the Institute of Behavioral Medicine. The Health Systems Agency of Western New York had instead called for splitting mental health services between the hospitals, mainly because of cost concerns. In 1913, it required little more than the mention of the attraction which had come to the Samuels Theater in Jamestown to start the theater-goers smiling. The theme and fun of this Pullman car carnival, as Rupert Hughes, its author, had dubbed it, were so familiar that one was apt to forget “Excuse Me” had a story. The eloping bride and groom; the young lady missionary bound for China; an old bachelor who becomes a convert to matrimony; the inevitable English tourist; the mismated couples who chafe under the ties-that-bind and are bound for Reno at top speed to get their matrimonial knots severed; with special remembrance of the philosophic porter and the pompous conductor who do so much to make the journey an event in the lives of both the passengers and the audience. “Excuse Me” was a welcome visitor to any city. Floyd Woodward, charged with stealing a suitcase from the Erie station at Lakewood the past summer, was arraigned in Justice Cowing’s court at Lakewood and pleaded not guilty, demanding a jury trial. The date for the trial was fixed for the forenoon of March 12. Bail, in the sum of $200 was furnished by the father of the defendant. Woodward was only recently released from the jail at Erie, Pa., where he had been confined pending the disposition of a charge preferred against him by Pennsylvania people. The complainants did not care to push the charge. In 1938, the Buy Jamestown Furniture campaign of the Upholsterers’ Local union No. 38, American Federation of Labor, would be launched the following week to continue indefinitely in cooperation with local retail merchants and manufacturers. The campaign would consist of newspaper advertising, posters in store windows and letters to unions and other organizations. The upholsterers’ union voted to offer a consulting service to all shoppers. Union men familiar with various phases of furniture manufacture would meet with retail clerks to demonstrate the important features of upholstered furniture. In addition, the union would have available men who would accompany furniture shoppers and give them similar information. Donald N. Morse, about 30 years old, of Jamestown, met instant death Tuesday evening about 7 p.m. while driving on the main road about four miles east of Westfield. His machine left the road and crashed into a telephone pole when the front left tire blew out. Coroner W.R. Crandall of Westfield was notified and following investigation, issued a certificate of accidental death. State troopers also investigated the accident. Morse, a native of Brocton, was credit investigator for the Hooper-Holmes Company, working out of Buffalo. He was returning from Buffalo and was on his way to Brocton when the accident occurred. In 1963, the first day of March, which started off in comparatively docile fashion, became lion-like before the day ended, with traffic at a standstill from time to time throughout the area as a heavy blanket of wet snow fell. Temperatures reached a mild 30 degrees during the day, making the snow extremely slippery. The overnight low was 10 degrees. Heavy snow tapered off in most other parts of the state this day after a downfall that measured up to seven inches. Storm-related accidents caused at least three traffic fatalities on slippery and snow-laden highways in the state. Jamestown-area dance lovers would have an opportunity to enjoy the thrill of dancing to tantalizing tunes performed by a unique orchestra which perpetuated the name and incomparable melodies of one of the music world’s all-time greats. This was revealed with the announcement that the 48th annual Policemen’s Ball, to be held in the state armory on Porter Avenue on April 18, would feature a performance by the new Glen Miller Orchestra under the personal direction of Ray McKinley. 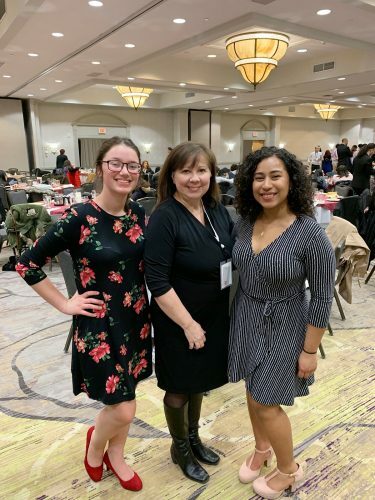 The ball, one of the oldest traditional events on the Jamestown social calendar, was the association’s only means of raising money to provide insurance for active and retired members of the department. In 1988, William Warner was hard at work on the deck of the Bemus Point-Stow ferry, being renovated by Medina Services, Inc. of Westfield. Beams and a third of the ferry’s steel deck would be replaced and then covered with a new wooden deck. The renovated ferry, also to be repainted, would be ready to sail by Memorial Day. A decision had been made to postpone the fourth Chautauqua Conference on U.S.-Soviet Relations to September from late May as originally scheduled. The announcement was made by Joseph C. Johnson, Chautauqua Institution vice president/treasurer, who said the decision was a reaction to a possible U.S.-Soviet summit conference in May or June. “There’s no way we want to compete with that,” Johnson said. About 275 people were expected to make the trip from the U.S. to the Soviet Union for the conference, to be held at Tbilisi, with about 180 of them as the Chautauqua citizen delegation. In 1913, 4 million glistening new nickels, with an Indian head on the face and the figure of a buffalo on the reverse, to replace the time-honored five cent piece with the Goddess of Liberty as its characteristic, were piled in the vaults of the United States treasury to be turned into public circulation later this day. Only once in 25 years could the secretary of the Treasury, without the sanction of Congress, change the design of any coin. President Wilson’s secretary of the treasury would have an opportunity to change the dime, quarter and half-dollar because in 1915 the present design would have been in circulation for a quarter-century. The fate of the babe which was left a little over a week ago on the steps of the Catlin home on English Street in Jamestown, rested entirely in a slight infection which had developed with the little one’s eyes, for Mr. and Mrs. Catlin had finally decided to take the child for adoption if the eyes proved to be all right. The baby was at the Jones General Hospital and would be kept by Overseer of the Poor, Palm, until the eye trouble was settled. That the story of the foundling had a wide reading was evidenced by the fact that nearly 40 applications for the child for adoption had been received by Overseer Palm since the story was printed the previous week. In 1938, the City of Jamestown, Chautauqua Lake steamer, last of the lake fleet, would not be scrapped and sold for junk but was for sale as a going concern according to its owner, Richard D Hiernaux, who informed the Chamber of Commerce officials he would entertain propositions to promote its continued operation. Prior to the meeting it appeared probable that the steamer was headed for the scrap heap, falling victim to an era of speeding automobiles, airplanes and streamlined trains. Oliver Benson, 54, of Silver Creek, was confined to bed but would recover from the effects of carbon monoxide gas poisoning suffered while working on his car. After working for some time in his garage, Benson began to feel ill and managed to reach the door where he collapsed. Mrs. Benson went to the garage to see why he did not come into the house and found him on the floor. With the assistance of Mr. and Mrs. Guy Aud, neighbors and their sons, James and Joseph, Mr. Benson was taken into the house and the work of resuscitation started. Dr. J. Munzesheimer was nearby and arrived within a few minutes after Benson’s plight was discovered. Robert Tanner, Chautauqua County civil defense director, had announced that March 4 was the last day for the purchase of civil defense radios under the matching fund program. Towns, villages and schools that did not have amateur radios to be in communication with the control center in Mayville, could order one on or before March 4. The cost to the town, village or school would be approximately $200 and the federal government would pay the other $200. In 1988, two skiers hung on while horses pulled them during a “skijoring” competition as part of a festival celebrating the recent opening of the Cattaraugus County Bank in Randolph. The sport, in which horses raced while they towed skiers by ropes connected to the saddles, was popular in Scandinavia. There was no known meteorological or historical precedent for the old saying that if March came in like a lion, it would go out like a lamb – or the other way around. At least Meteorologist Joe Pace with the Buffalo office of the National Weather Service said he didn’t know of any. Pace did explain, however, that March generally started out on the windy side with velocities often subsiding toward the end of the month – which could at least lend some credence to the lion/lamb theory. Pace noted he was hoping for a warm spring such as was experienced the previous year.